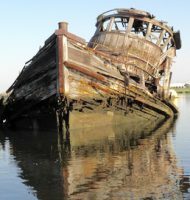 You are currently browsing the tag archive for the ‘Ellen McAllister’ tag. 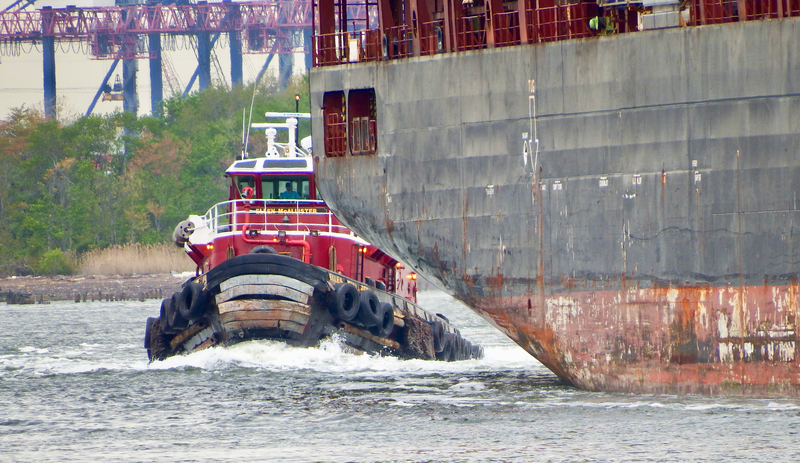 Faber Park aka the swimming pool has become one of my favorite places to watch the behemoths pass.The next set of photos I took in about 10 minutes. 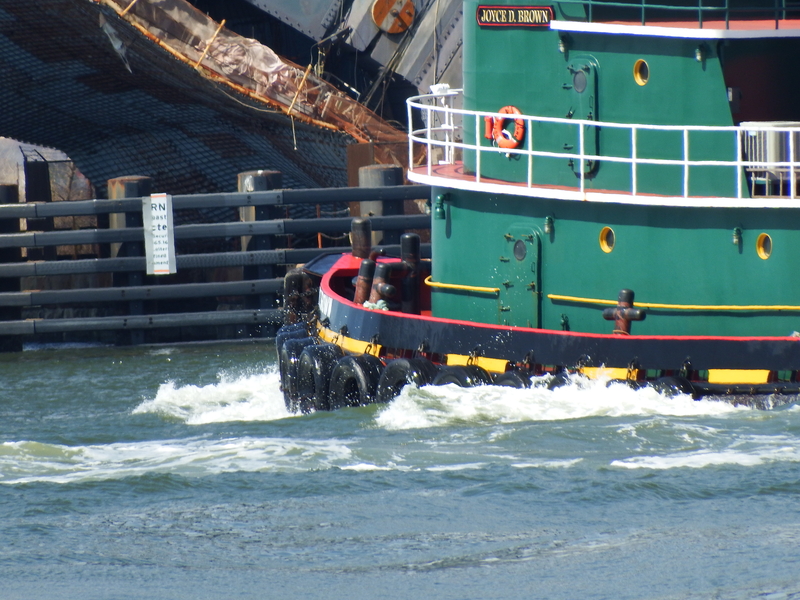 I’m in awe of the skills involved . 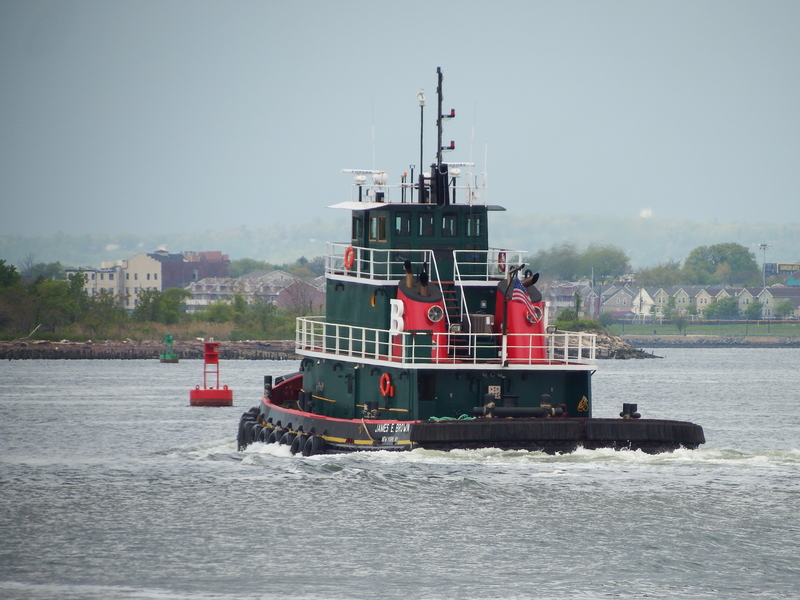 . . navigation and communication. 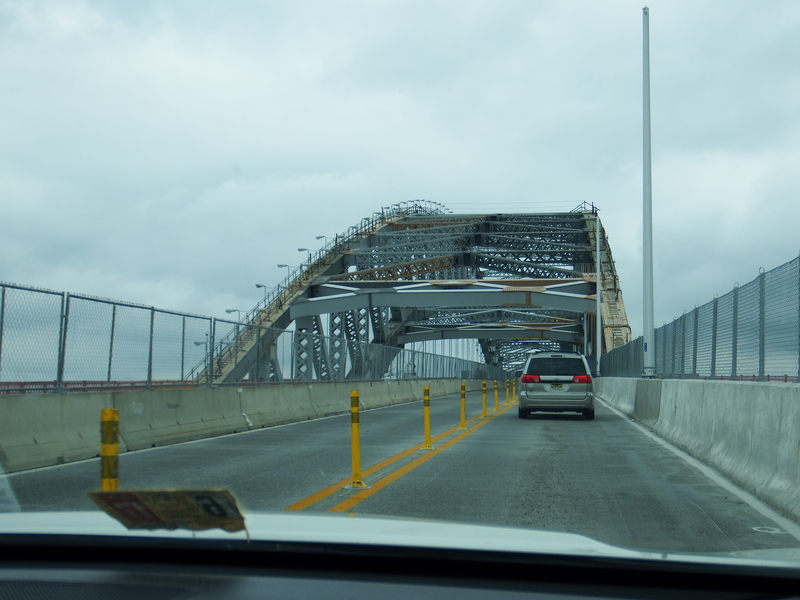 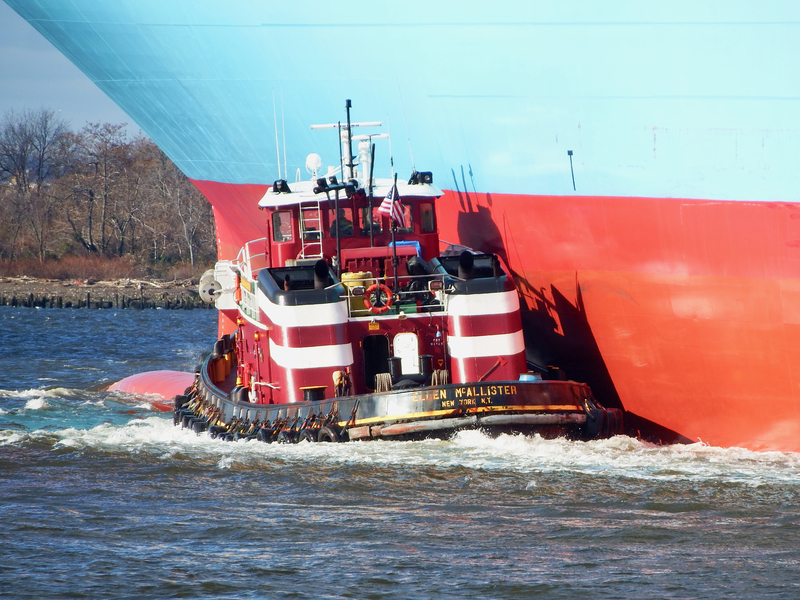 This is a tight turn. 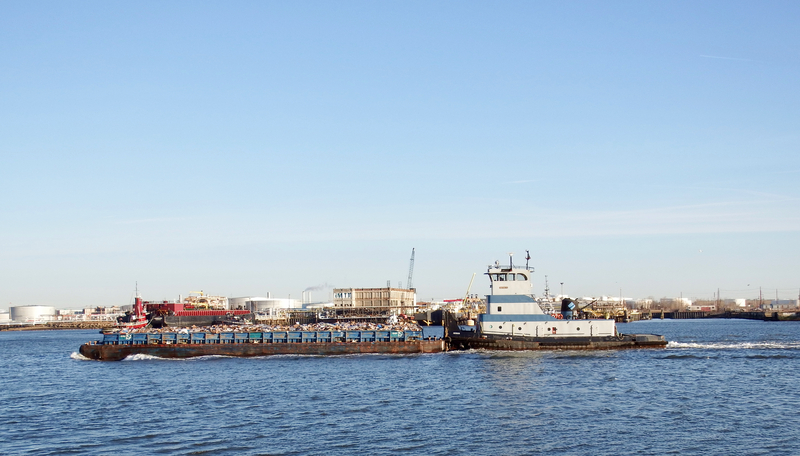 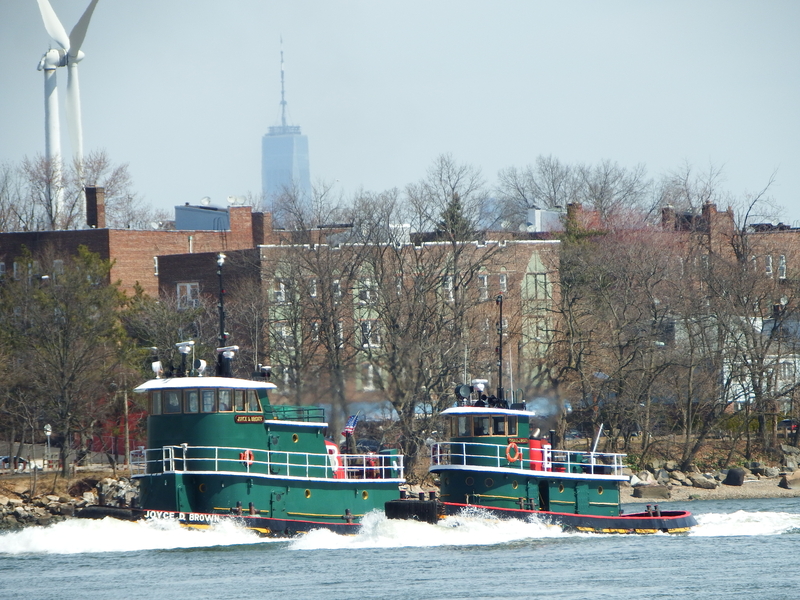 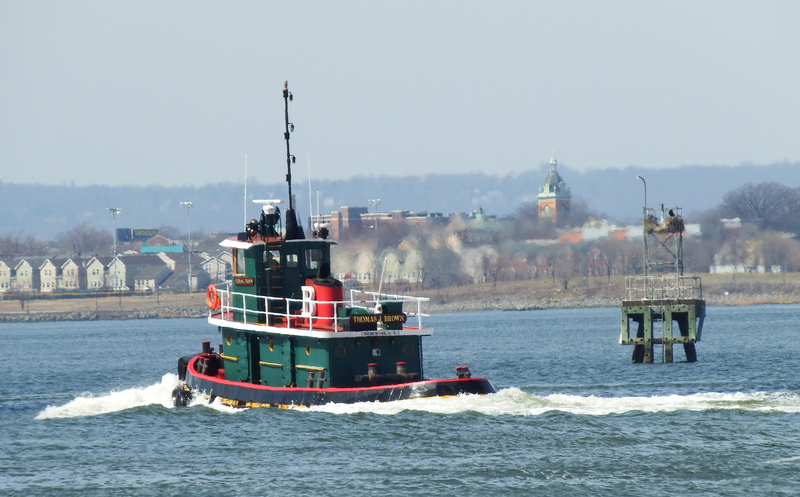 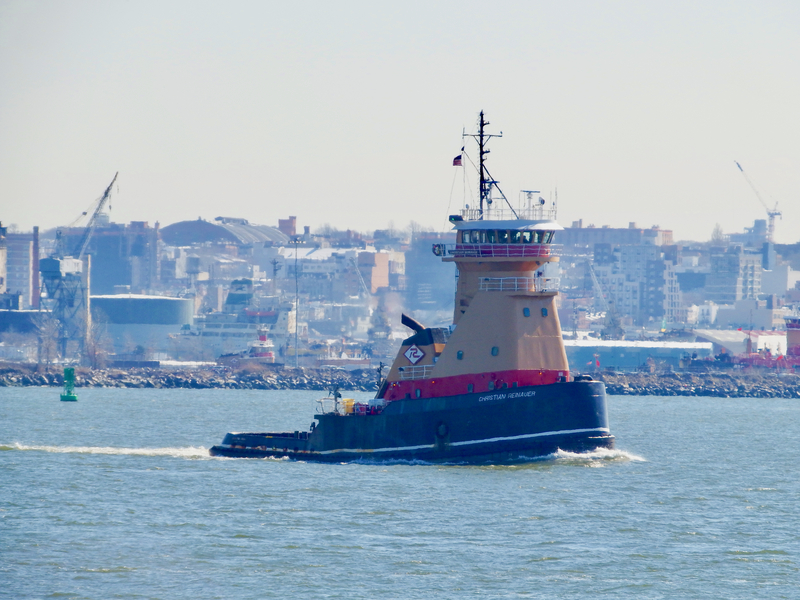 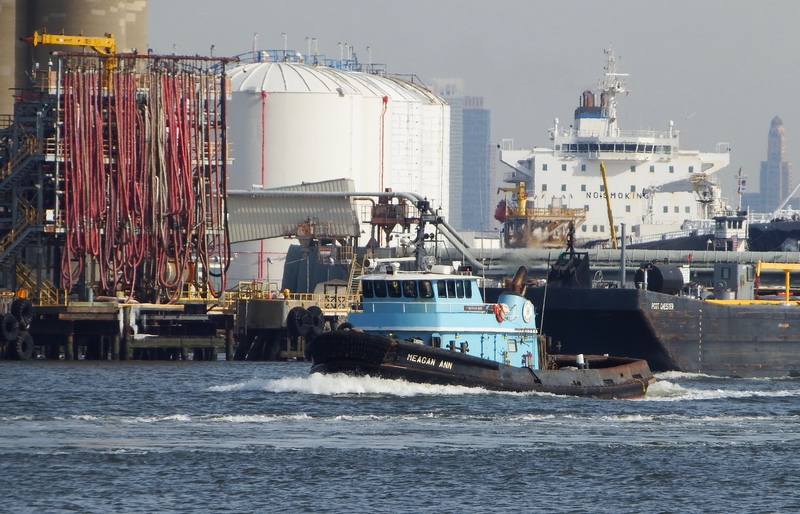 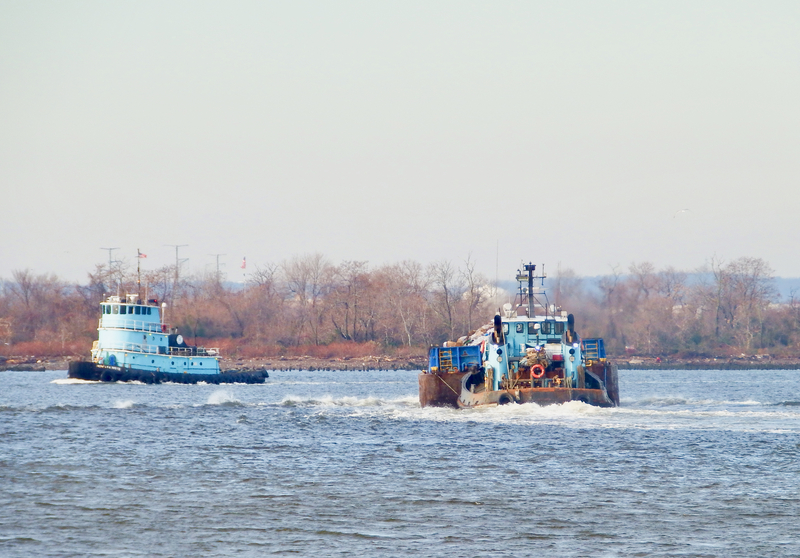 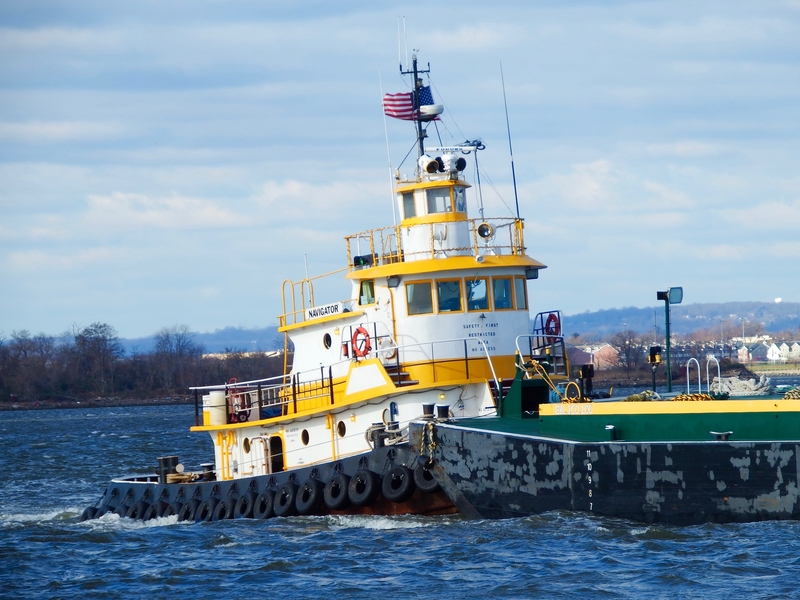 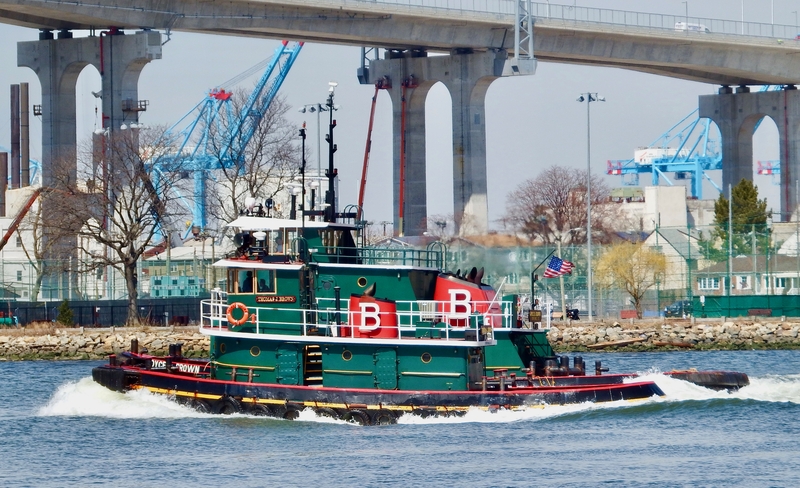 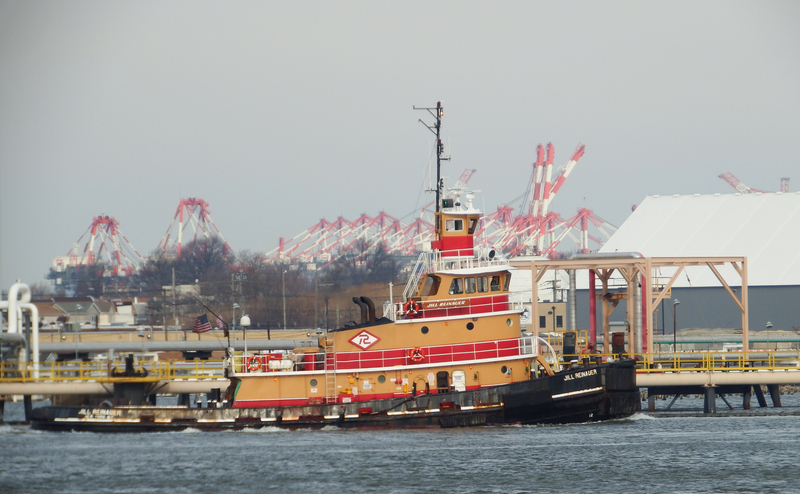 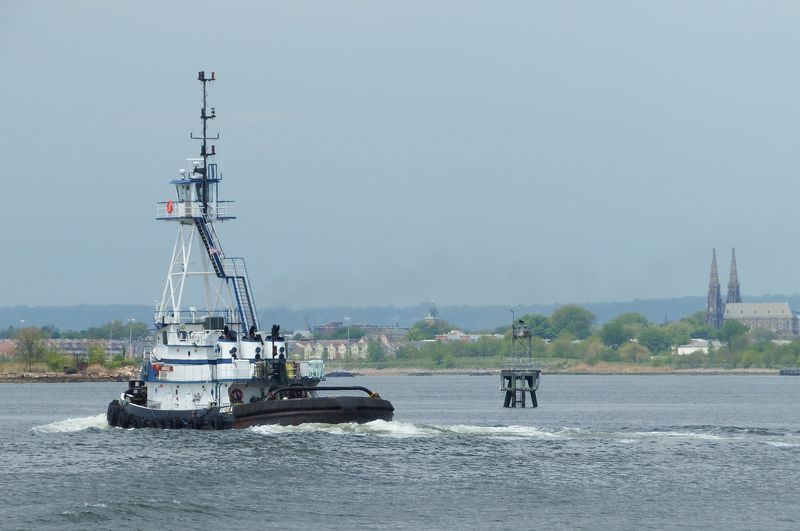 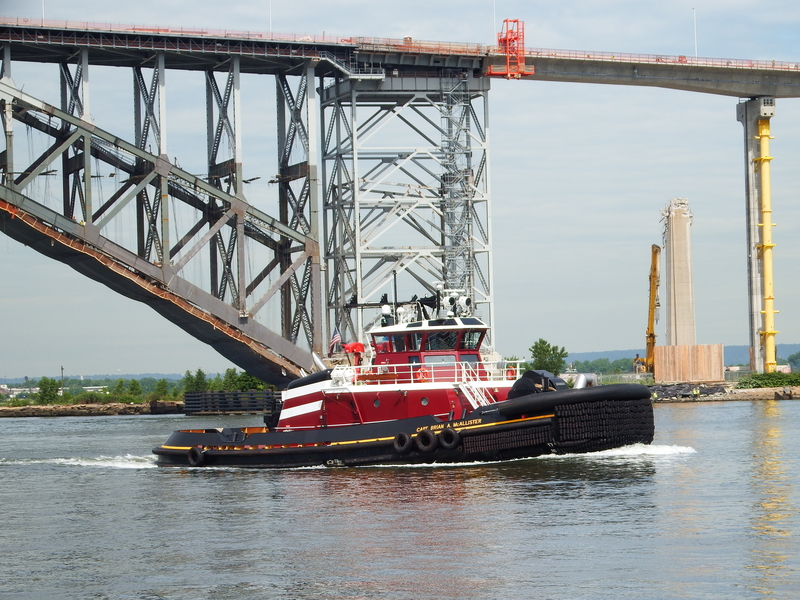 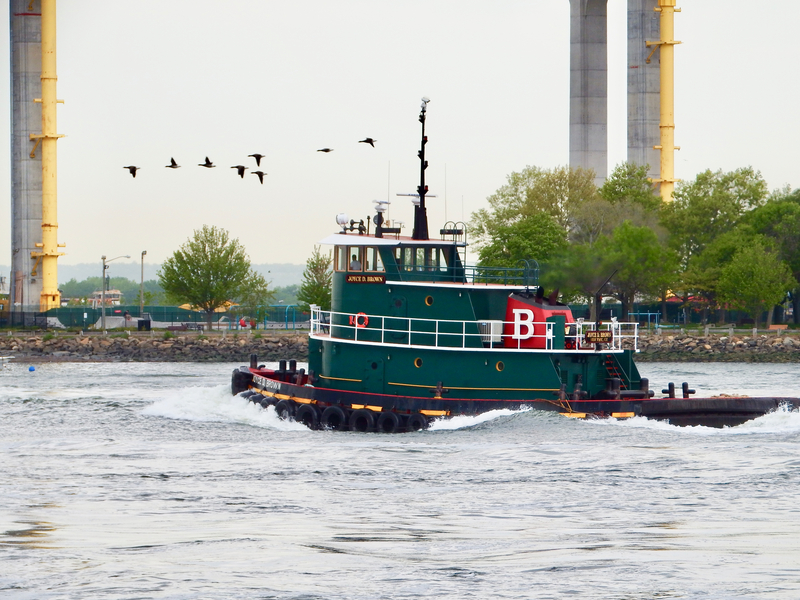 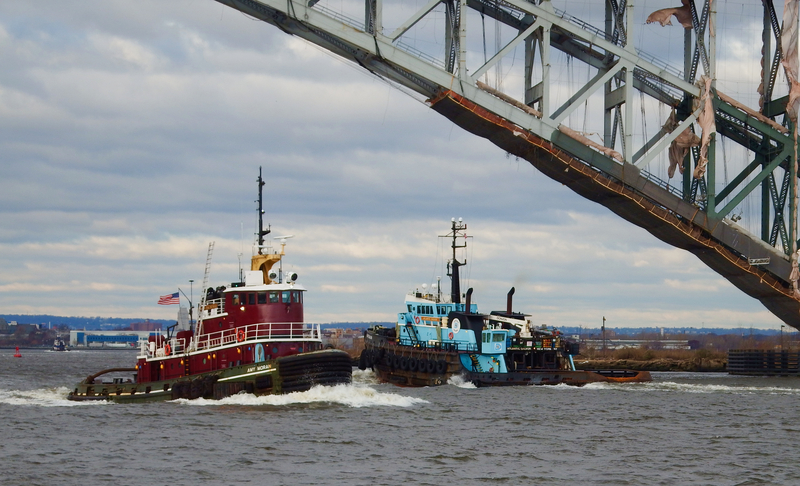 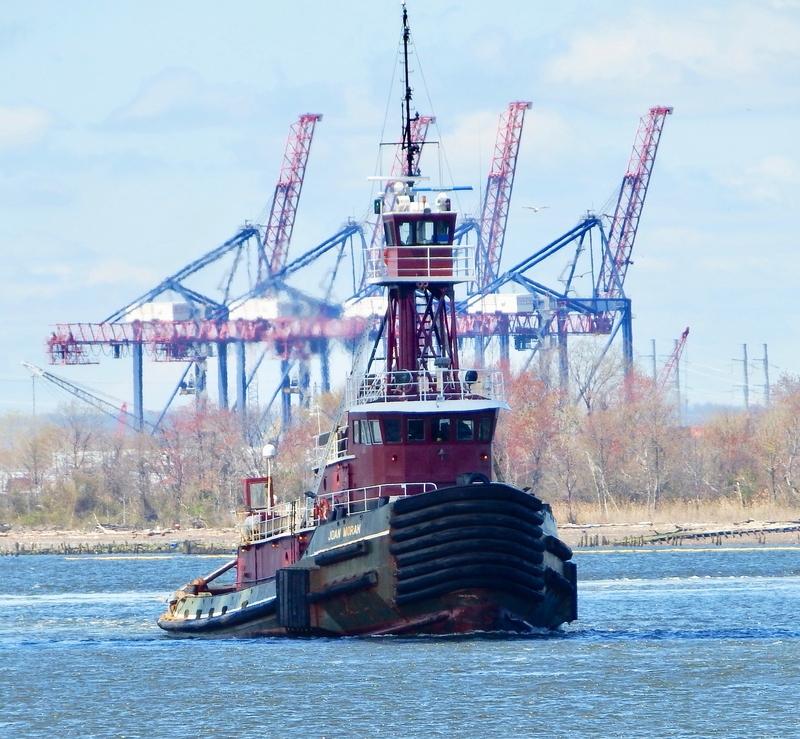 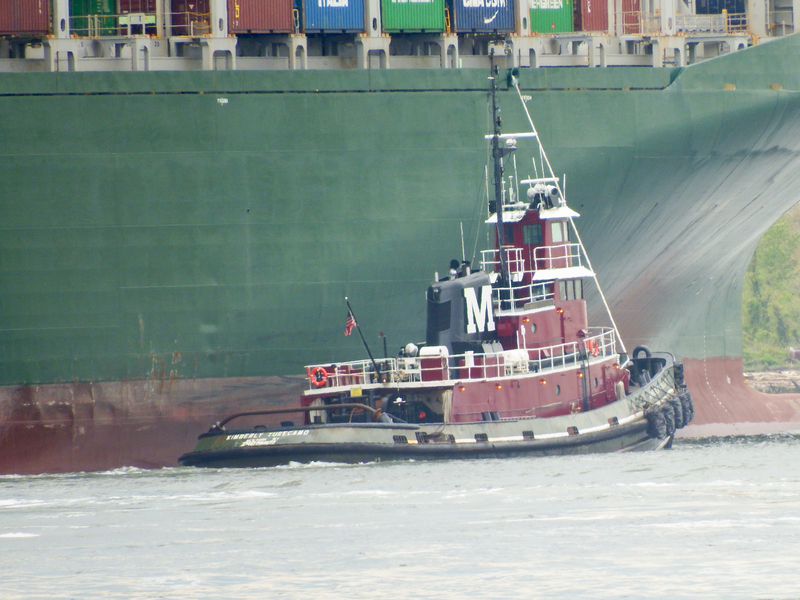 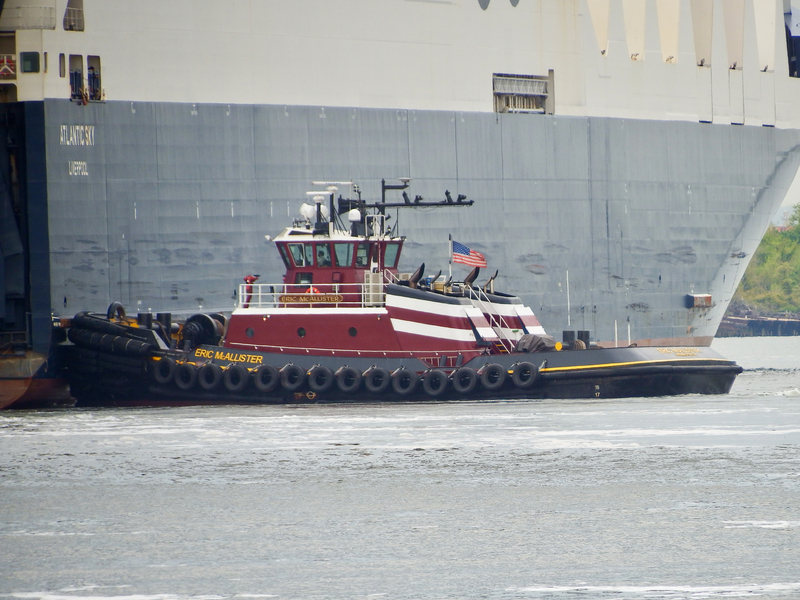 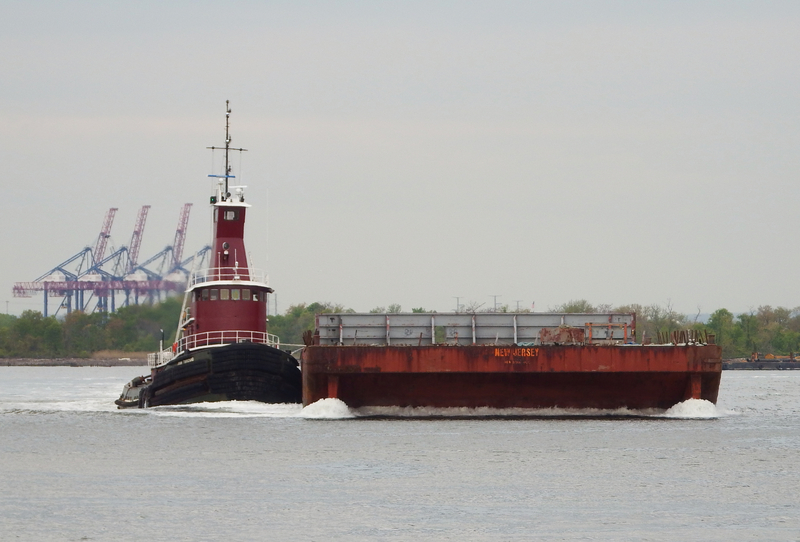 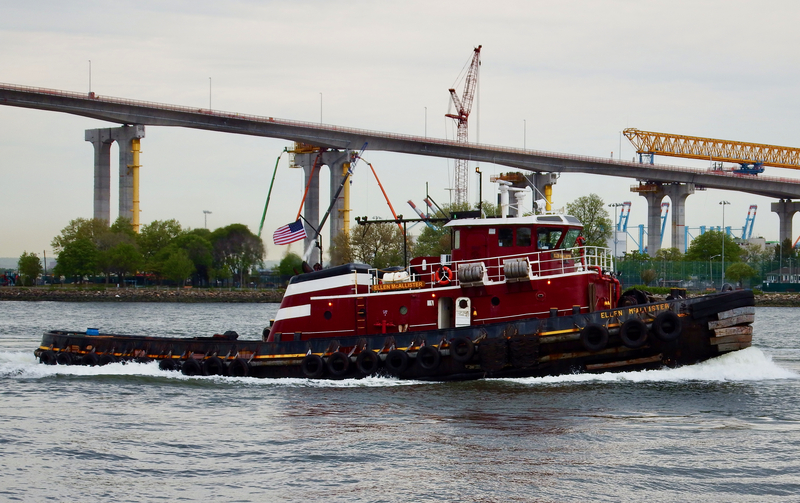 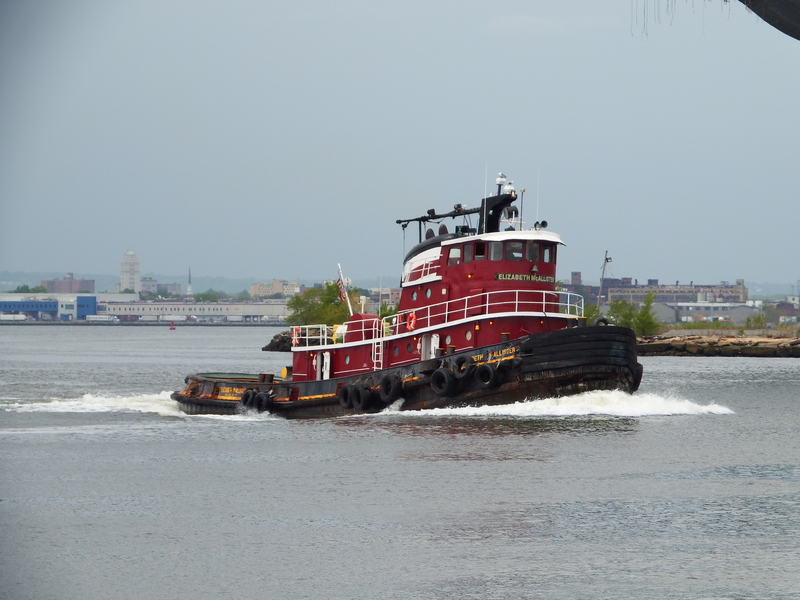 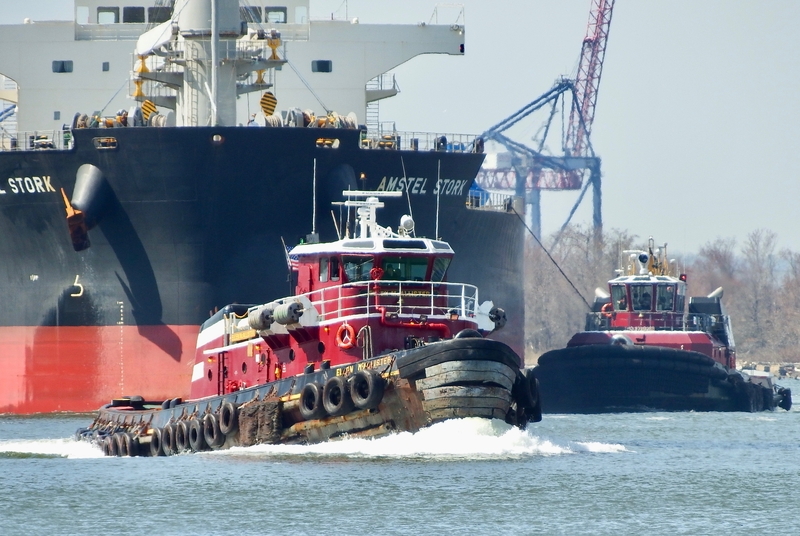 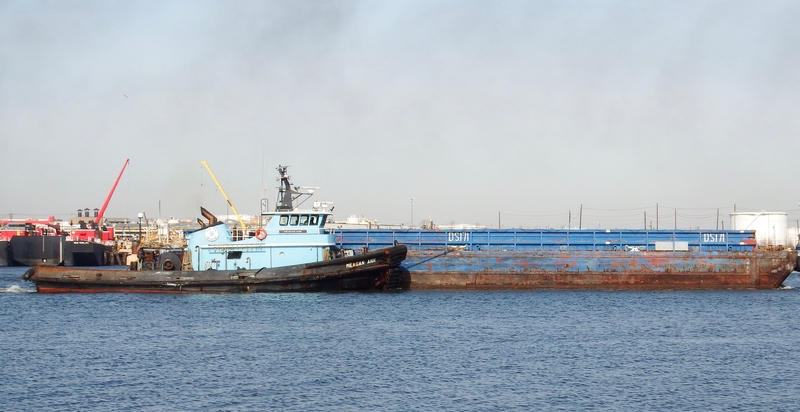 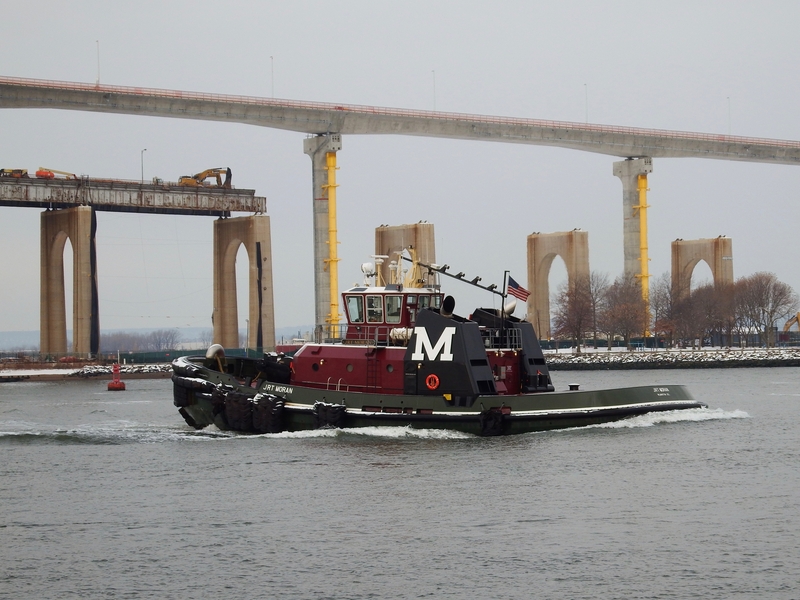 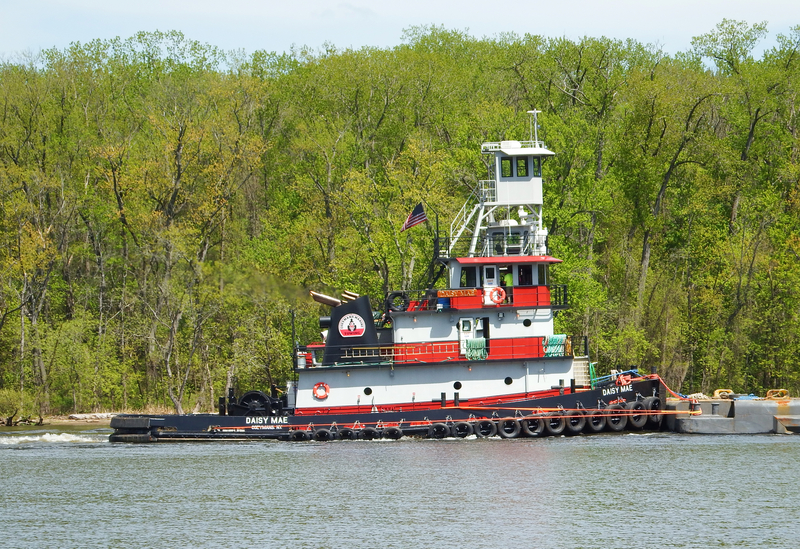 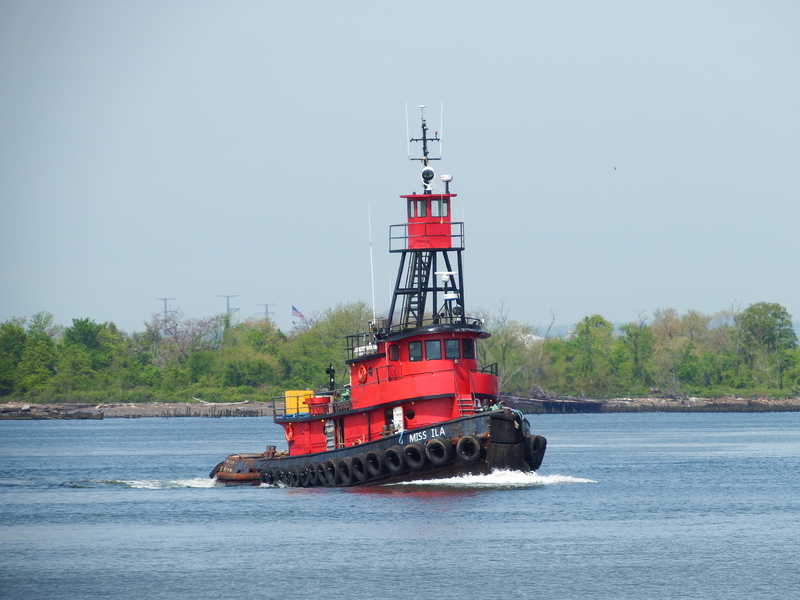 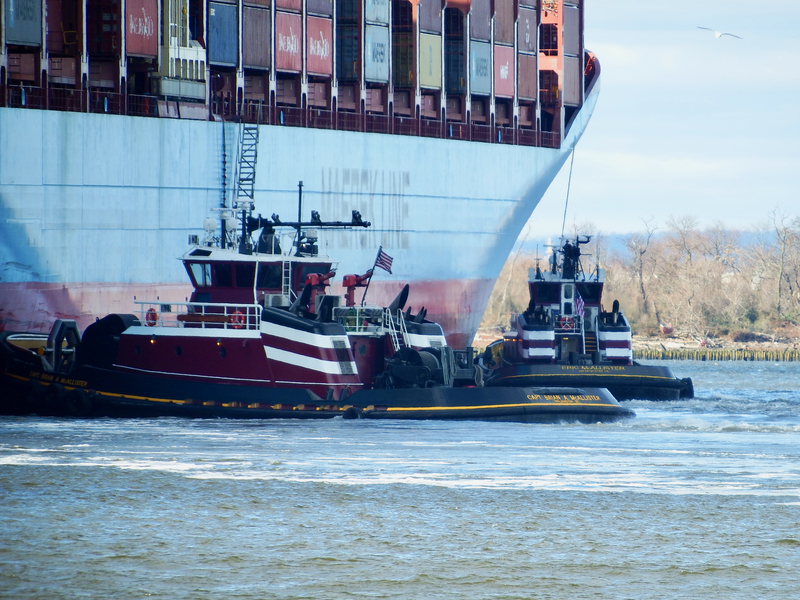 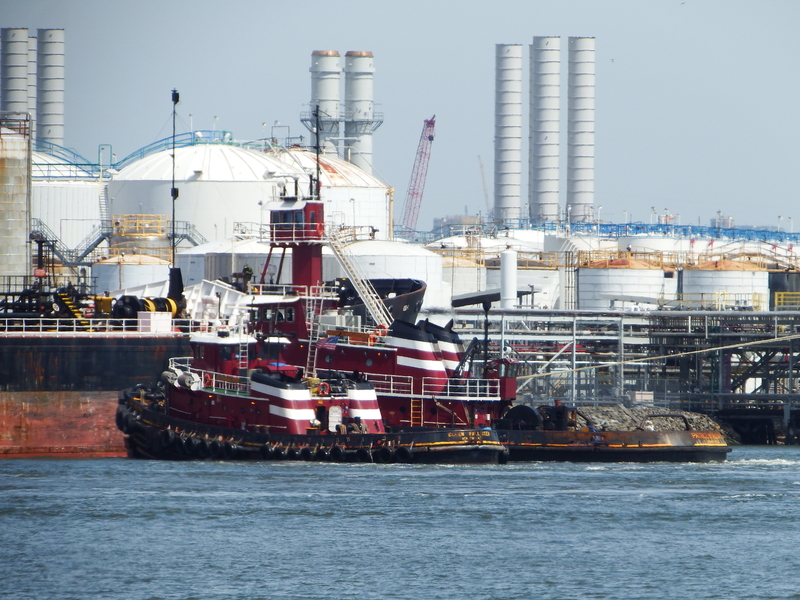 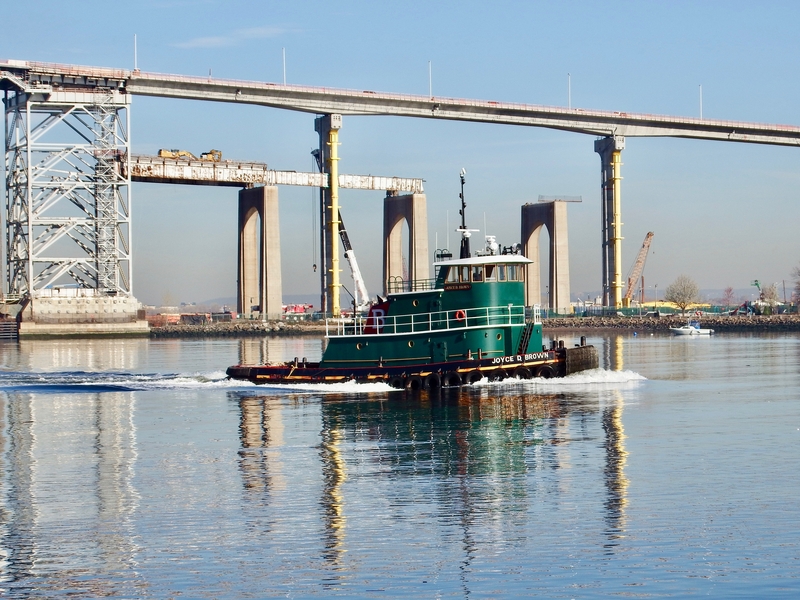 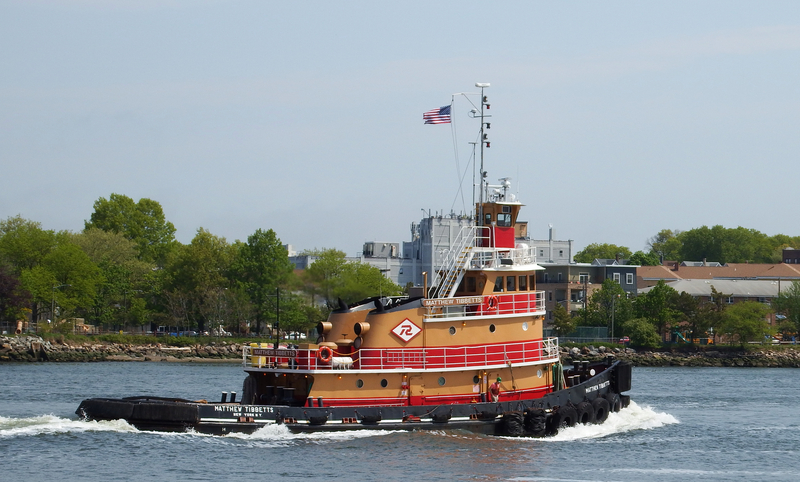 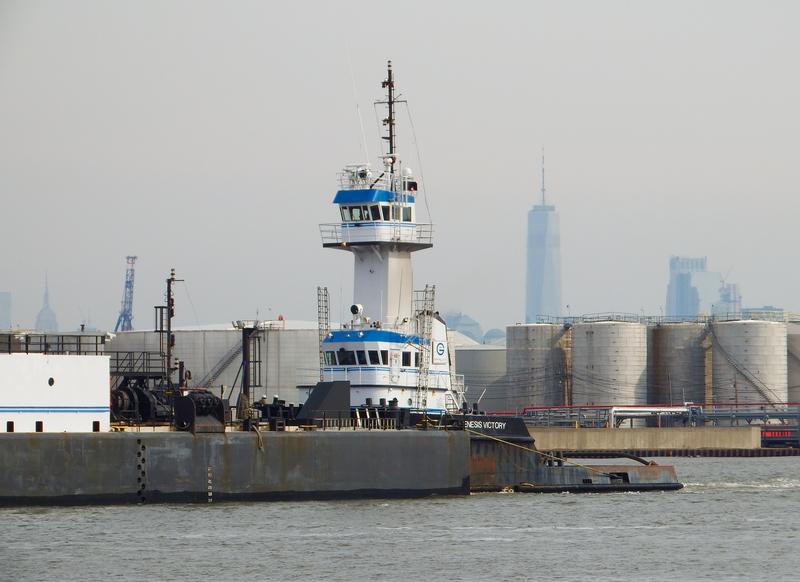 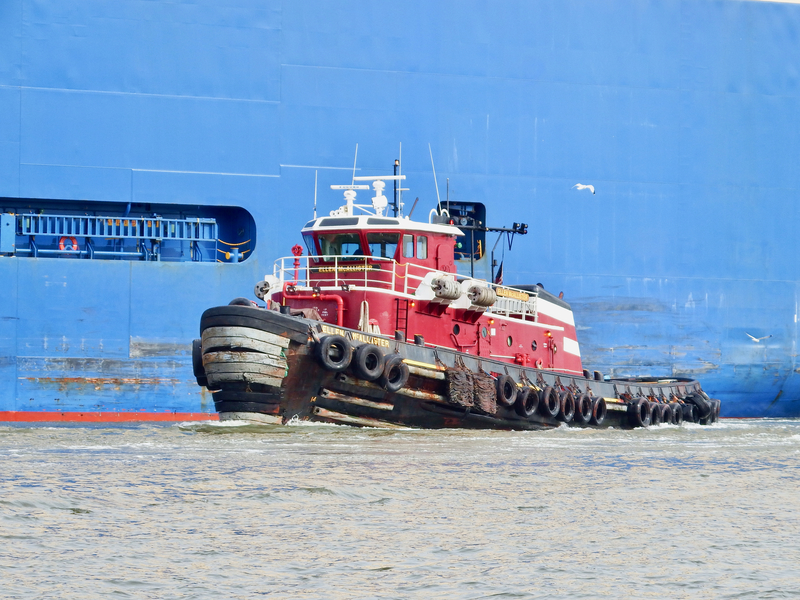 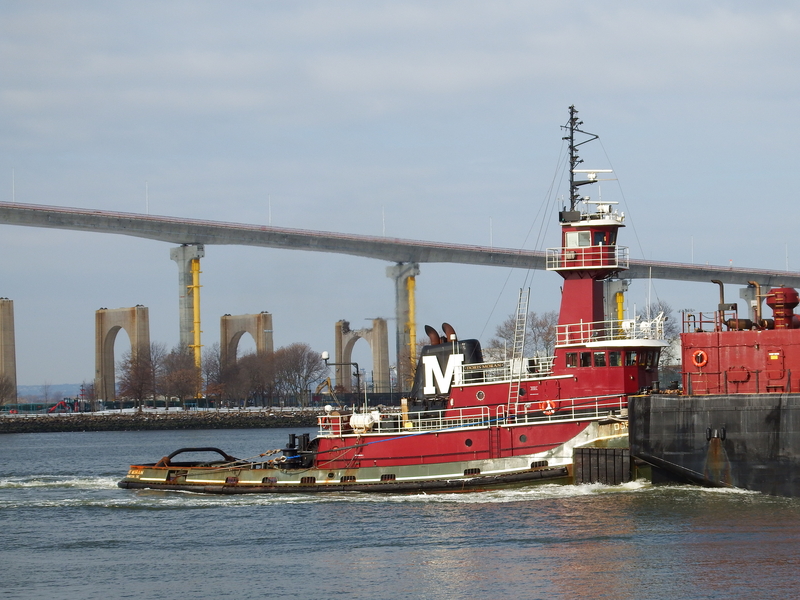 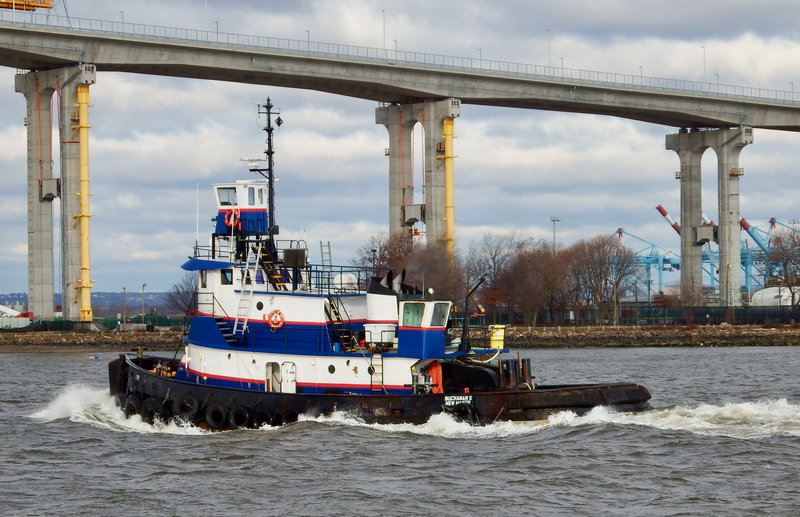 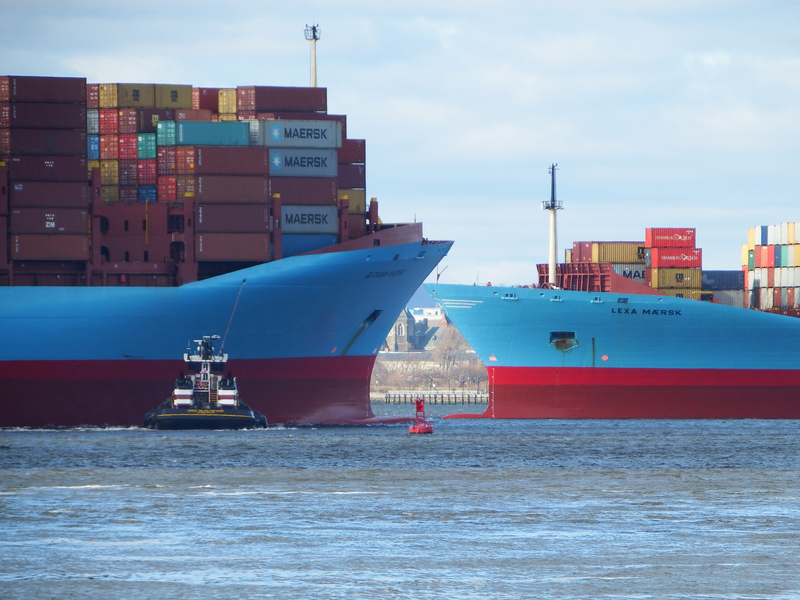 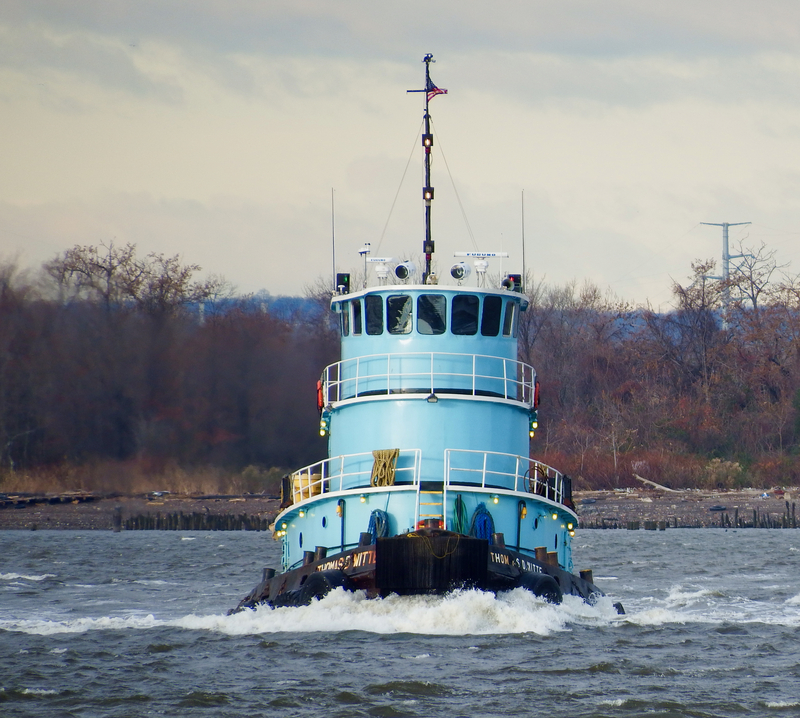 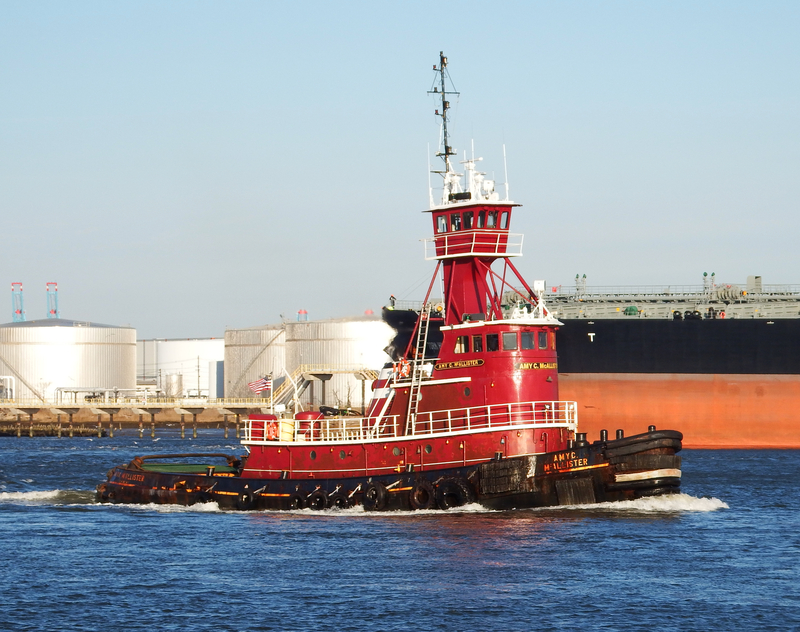 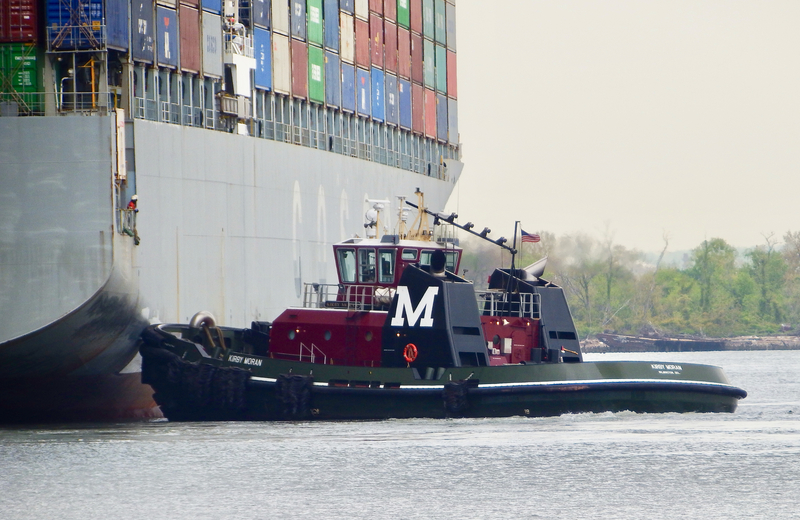 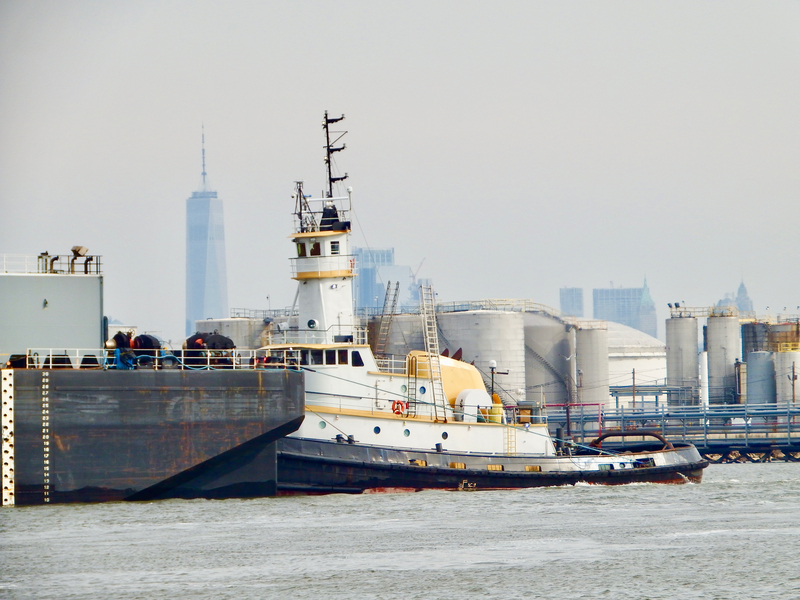 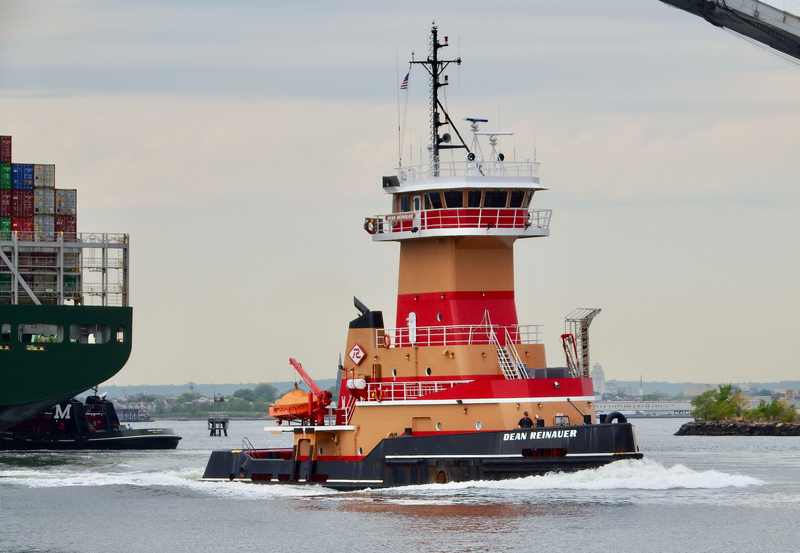 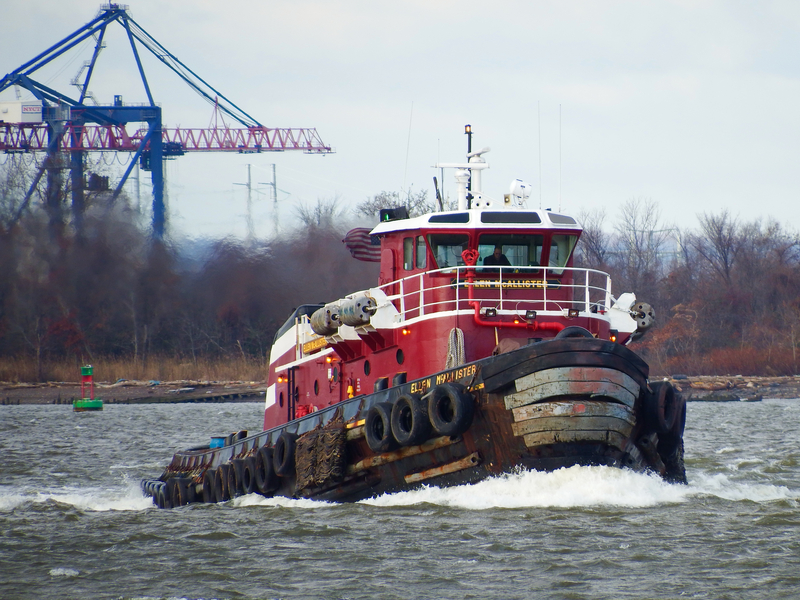 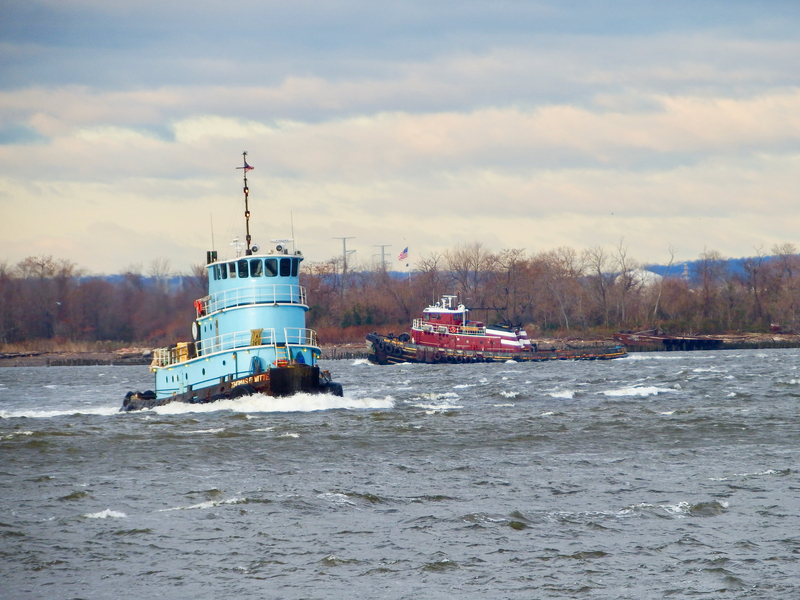 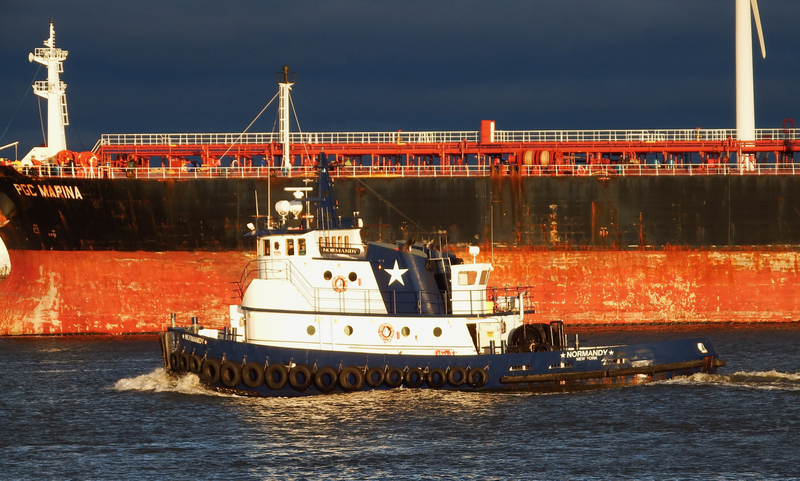 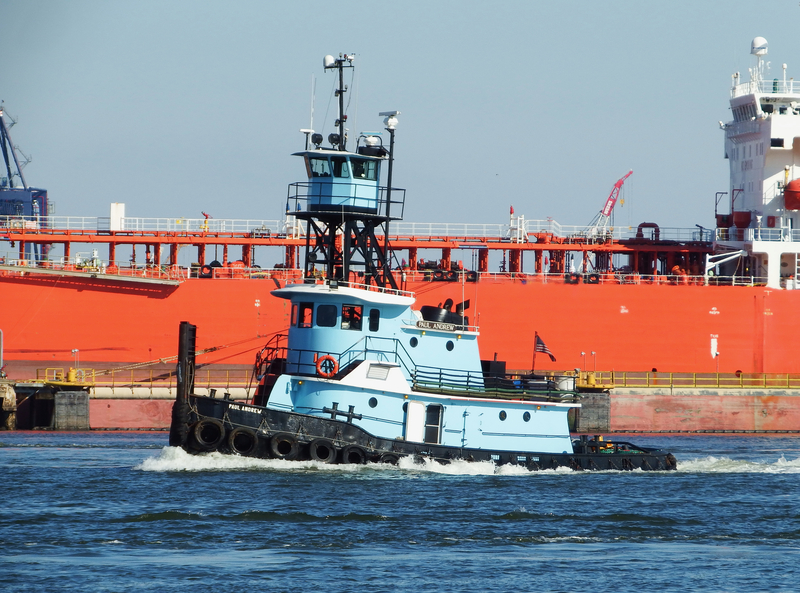 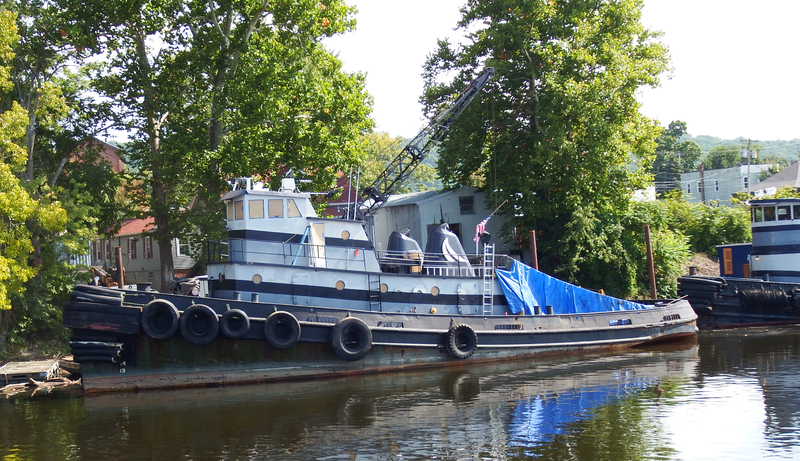 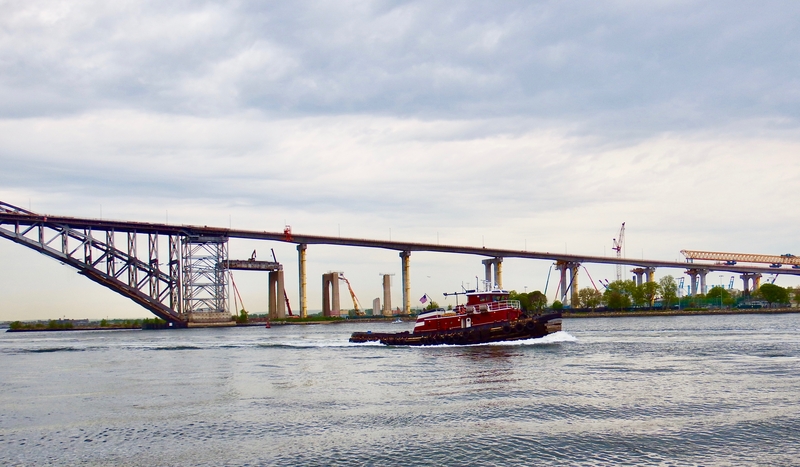 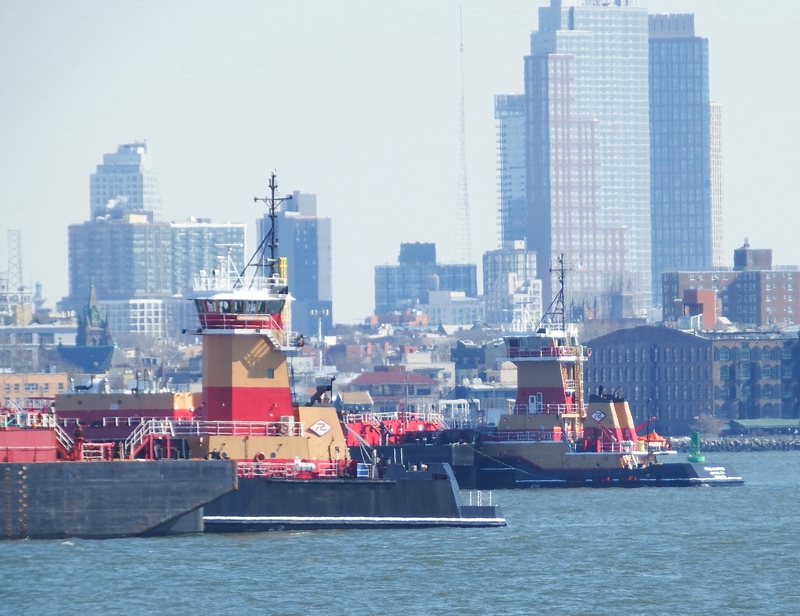 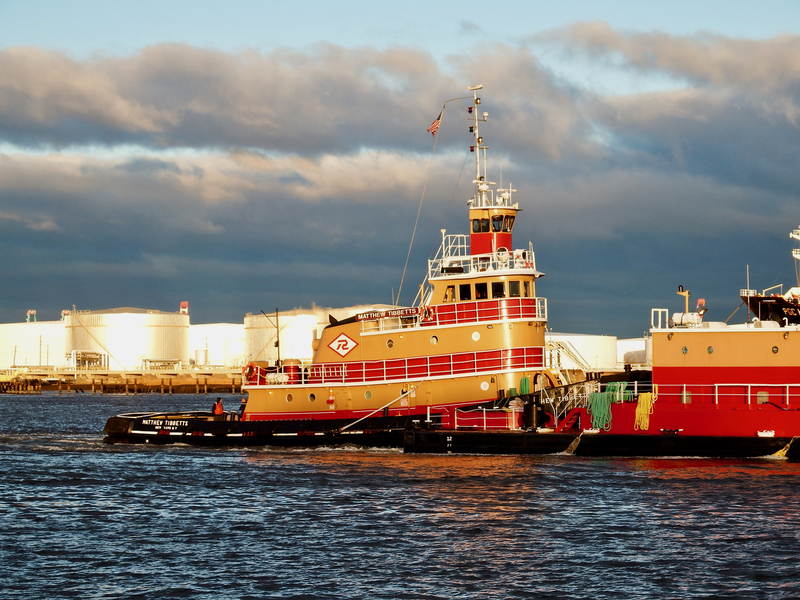 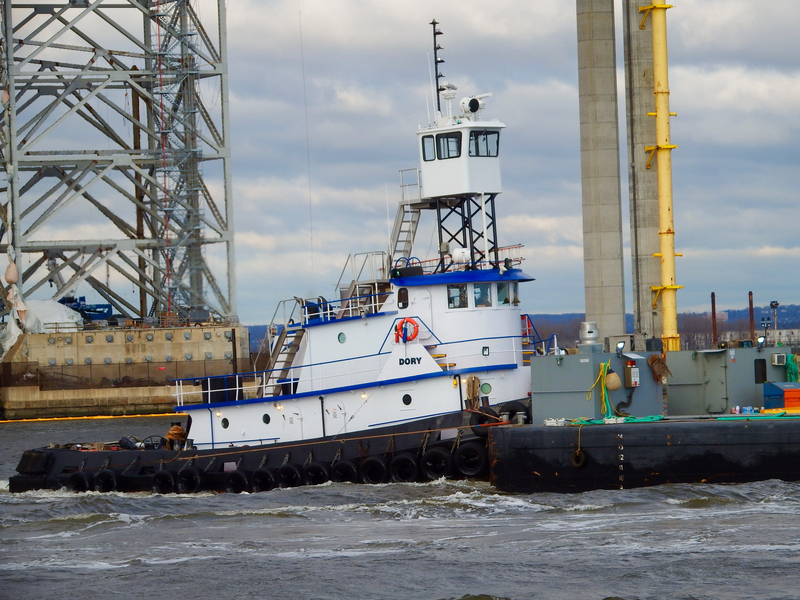 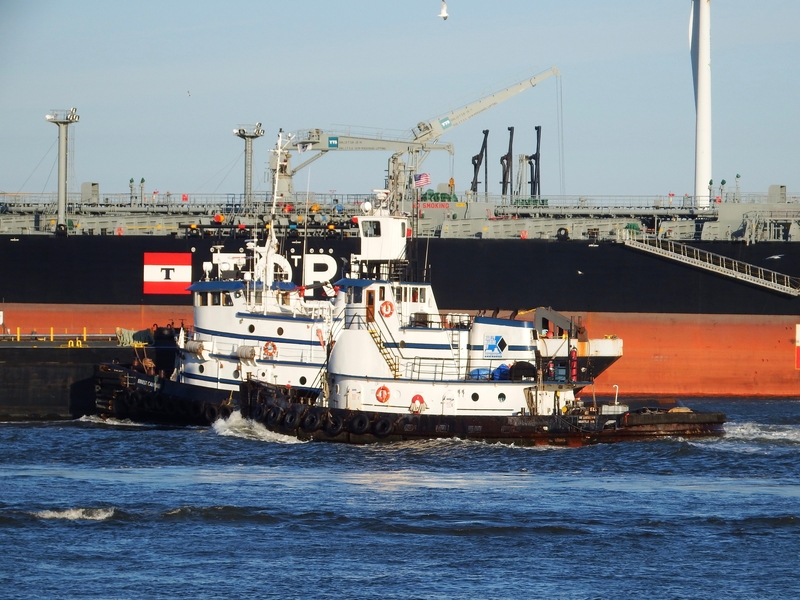 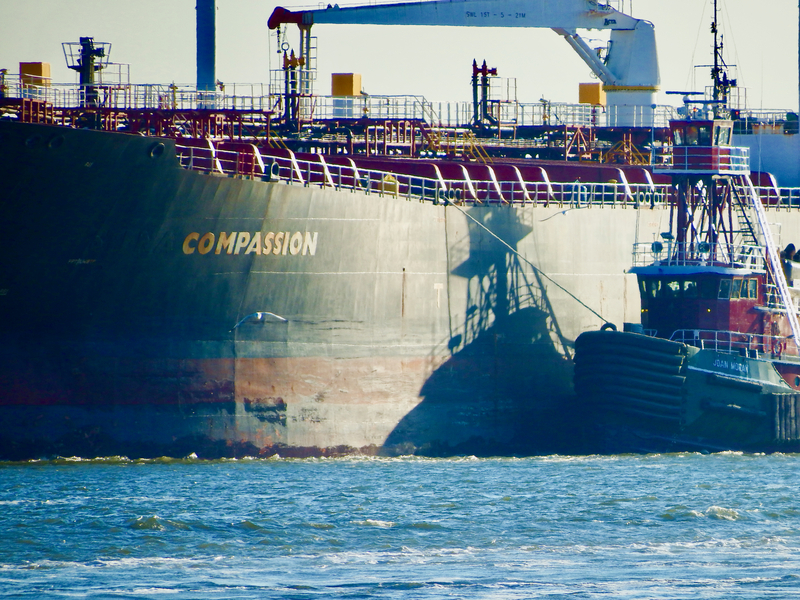 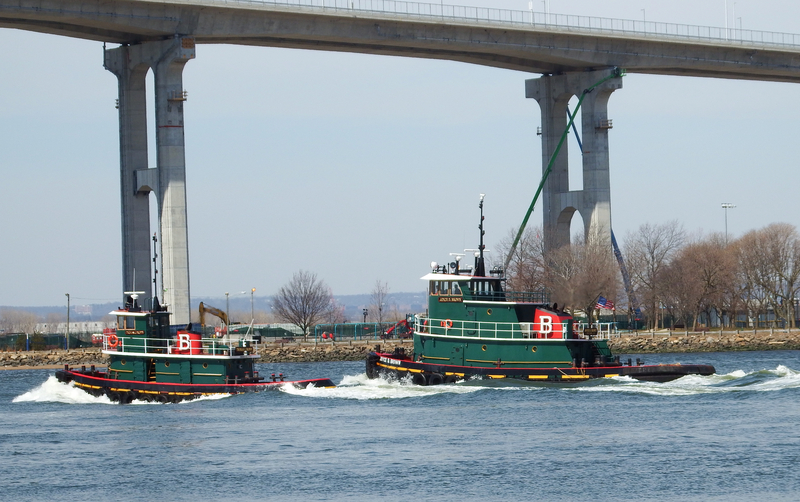 Four tugboats–Ellen, Rowan, Capt. 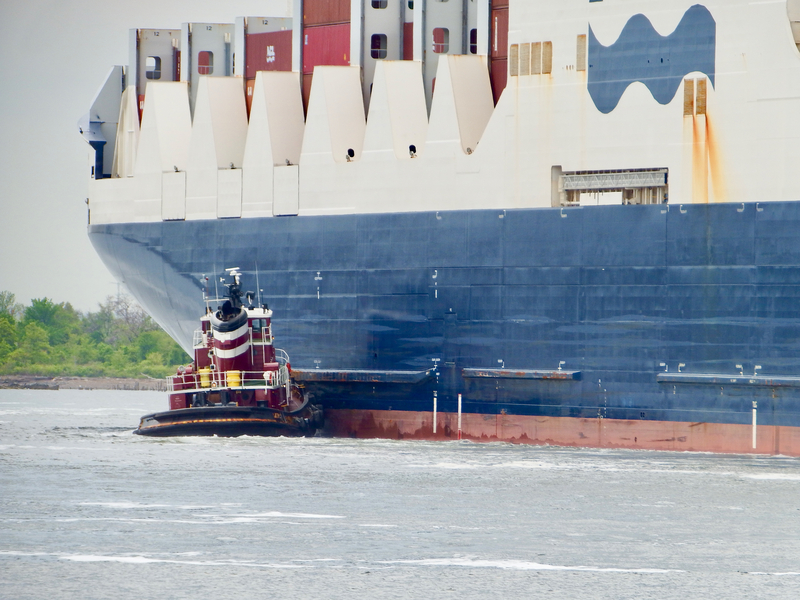 Brian, and Eric–keep it in the channel and the track such that two of these ships can negotiate the turn. 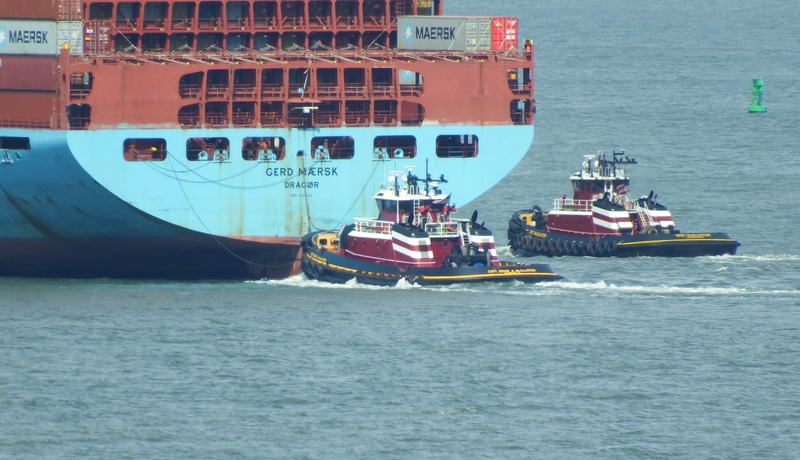 And they make it look routine. 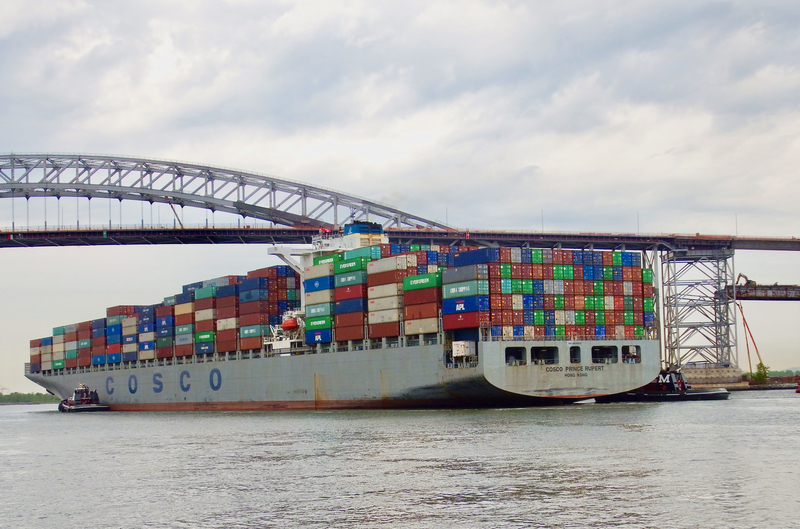 Cosco Prince Rupert came into town recently 27 days out of Pusan, Korea. 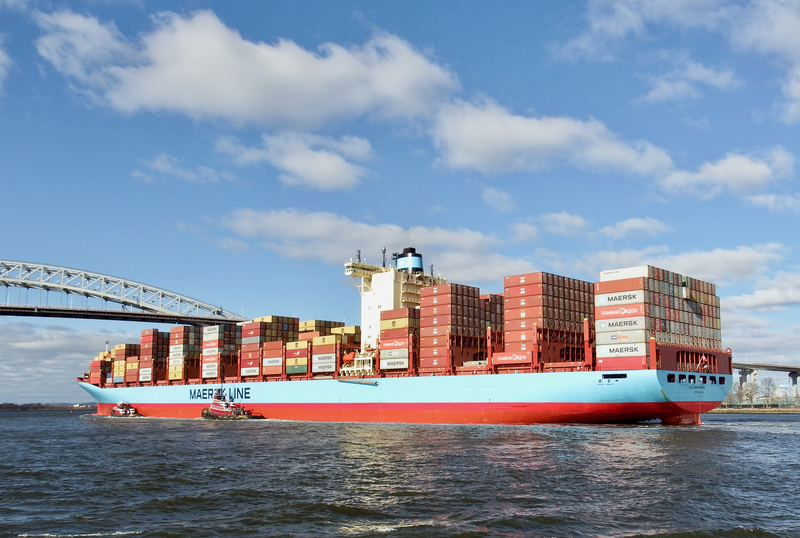 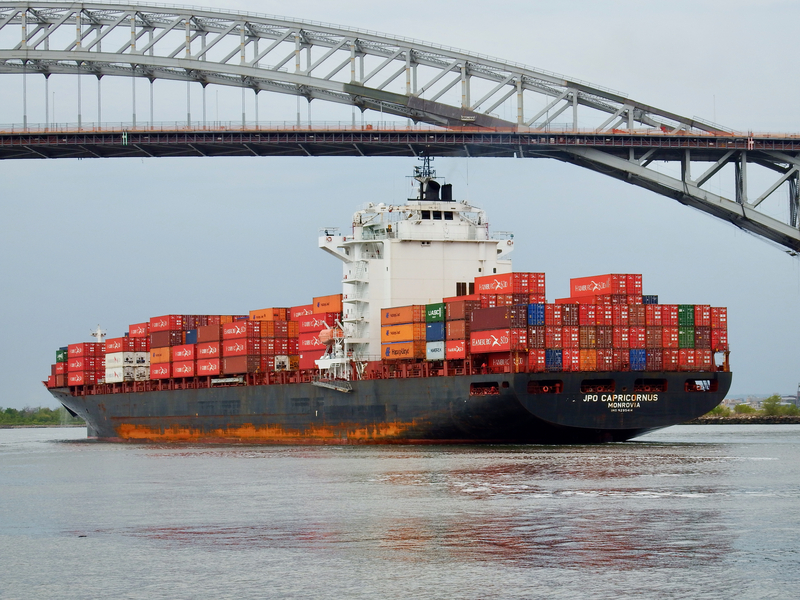 She was launched in South Korea in 2011, has dimensions of 1095′ x 141′, and has container capacity of 8208. 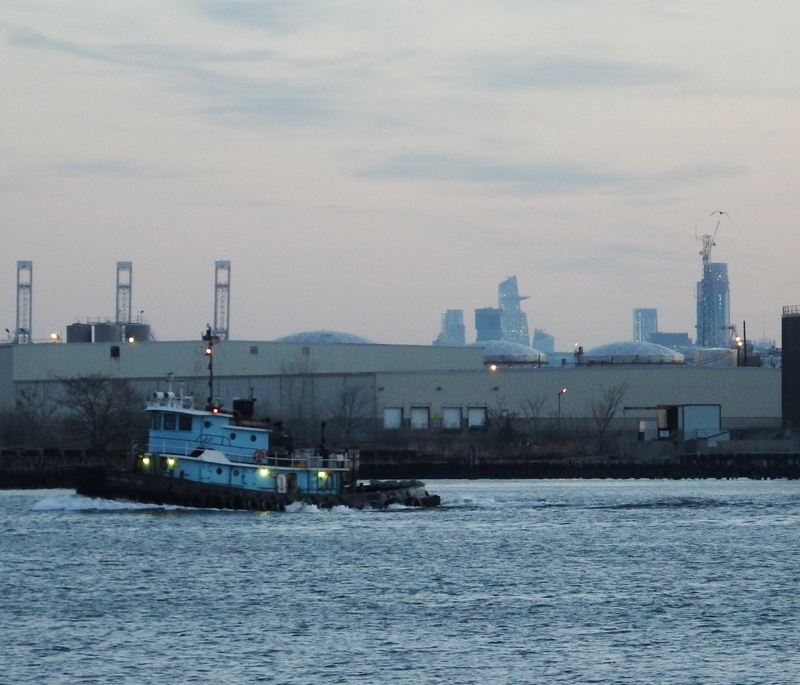 By current standards, she’s upper medium-sized calling in the sixth boro of NYC. 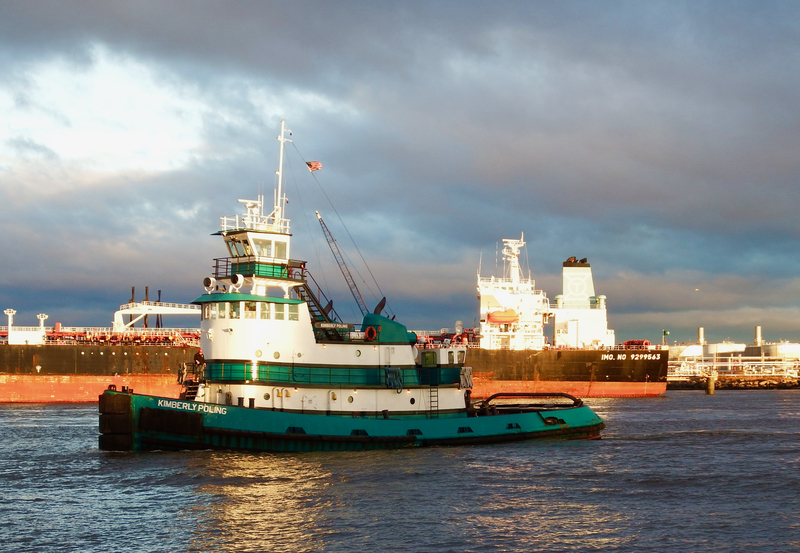 Prince Rupert’s namesake? 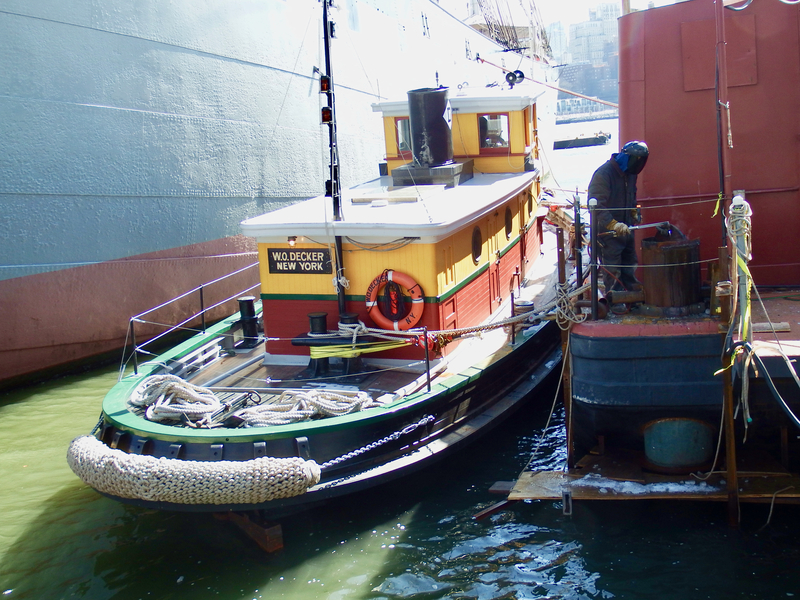 He was the first governor of the Hudson’s Bay Company. 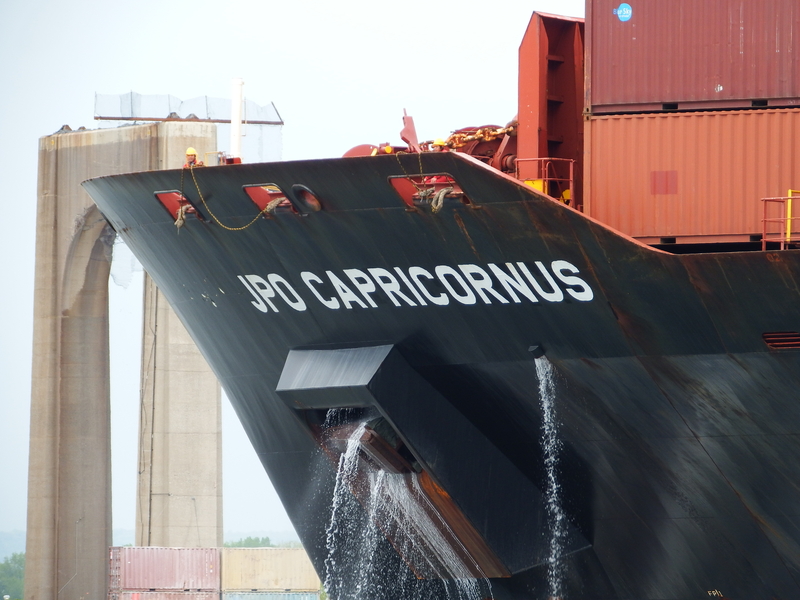 JPO Capricornus, 2005, 865′ x 106,’ teu capacity of 4132 . . . makes her a smaller size calling these days. 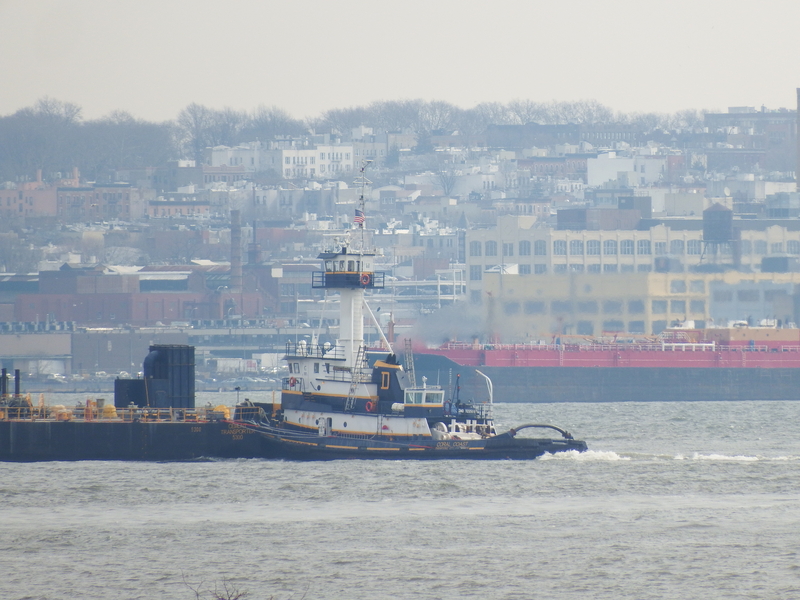 She was a week out of Cartagena upon her arrival in NYC. 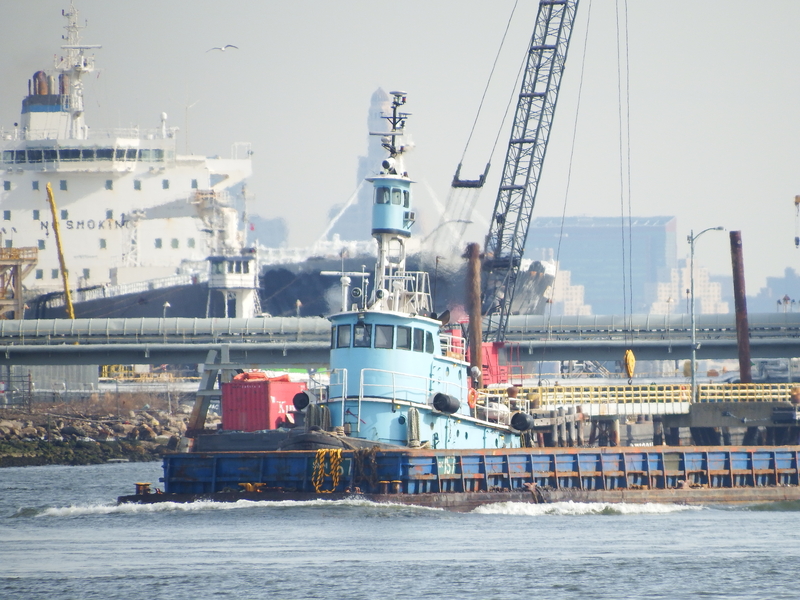 She was built in South Korea. 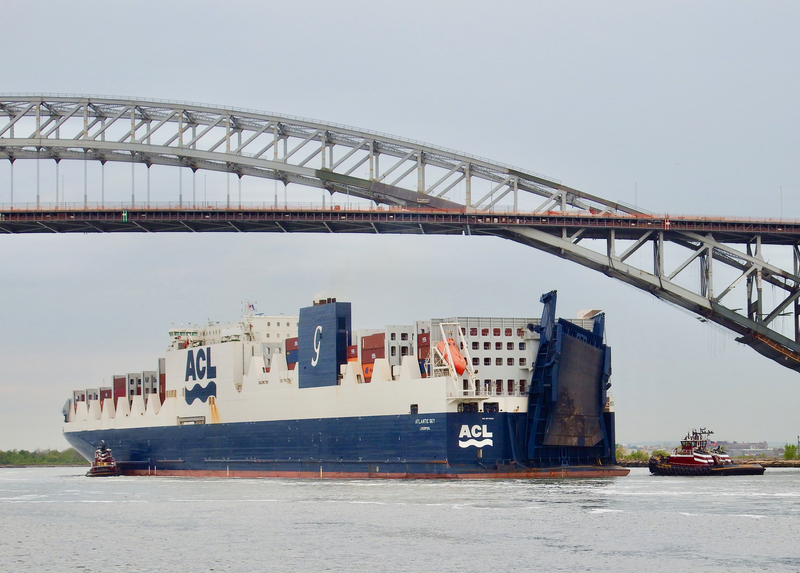 Atlantic Sky, a CONRO vessel with capacity of 3800 tea and 1300 vehicles, was launched in 2017 in China. 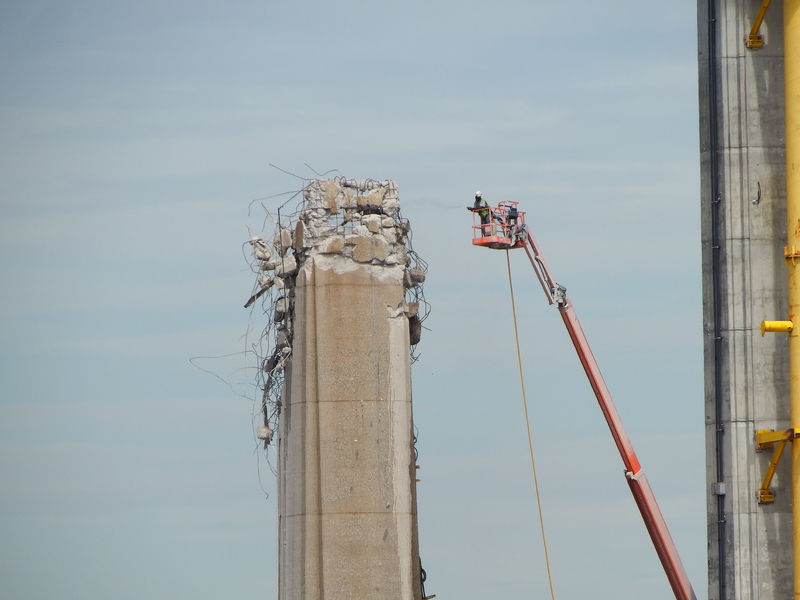 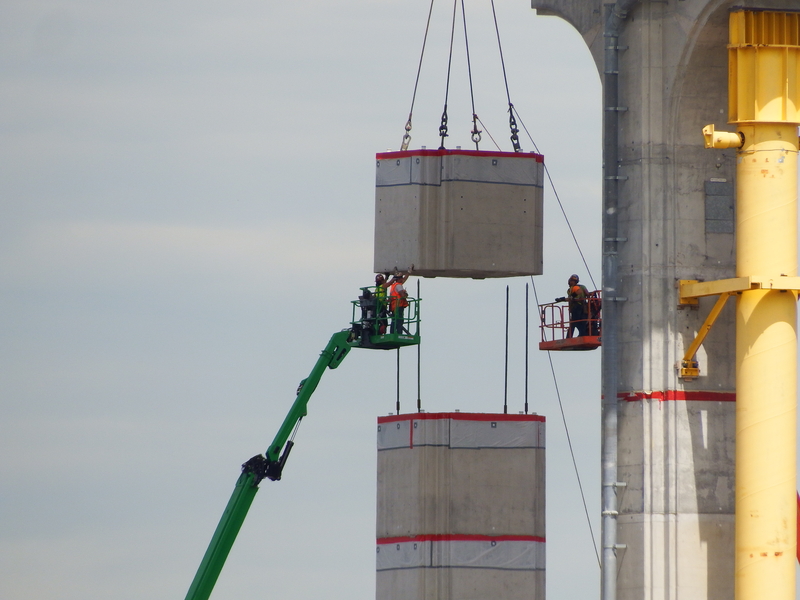 The tape has her at 970′ x 121′. 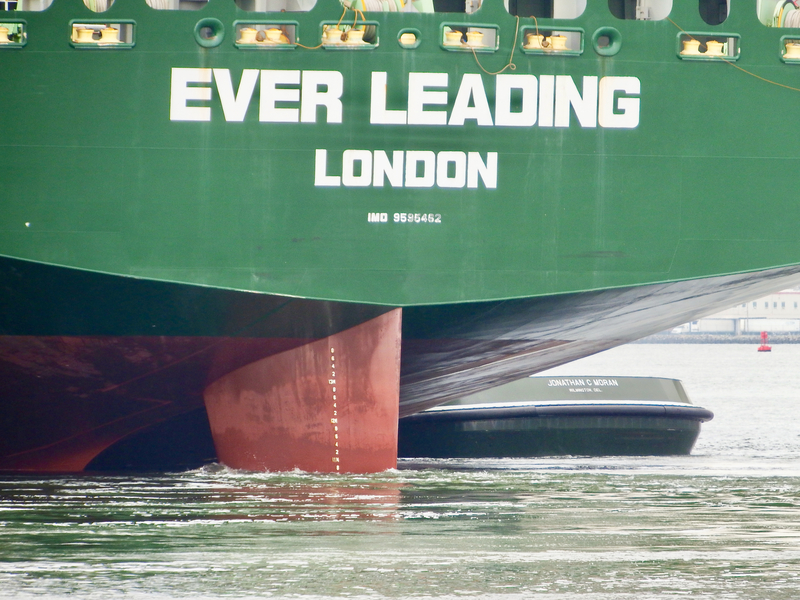 Ever Leading launched in 2012 in South Korea. 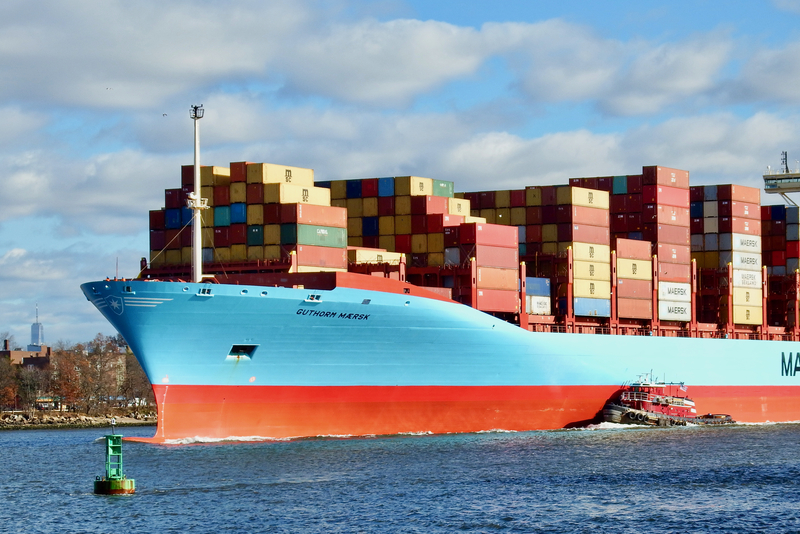 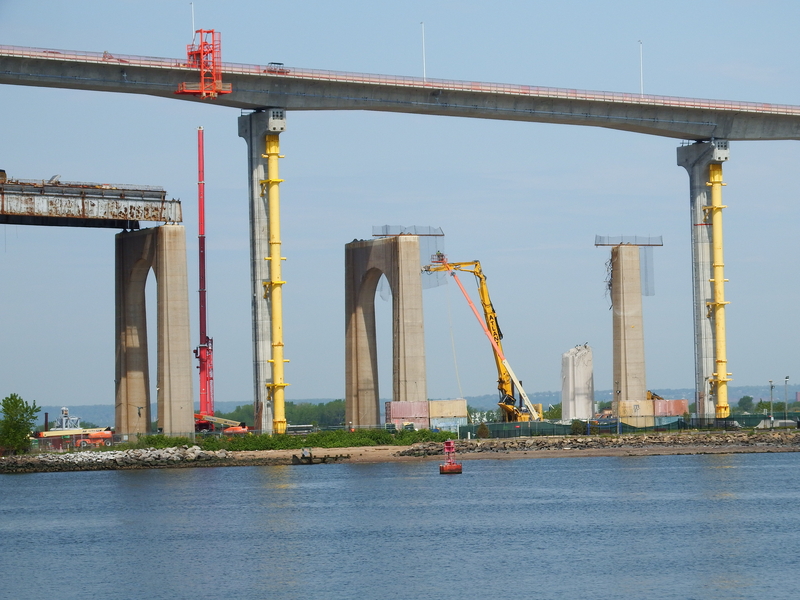 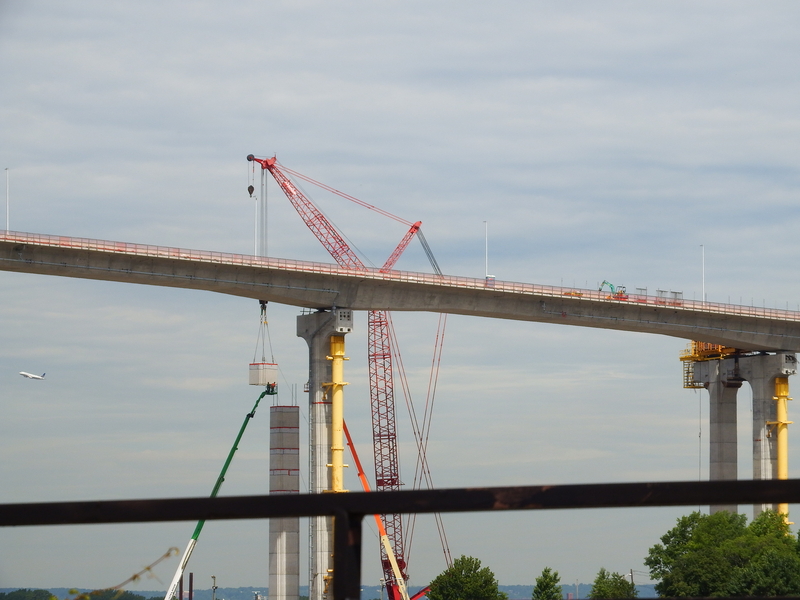 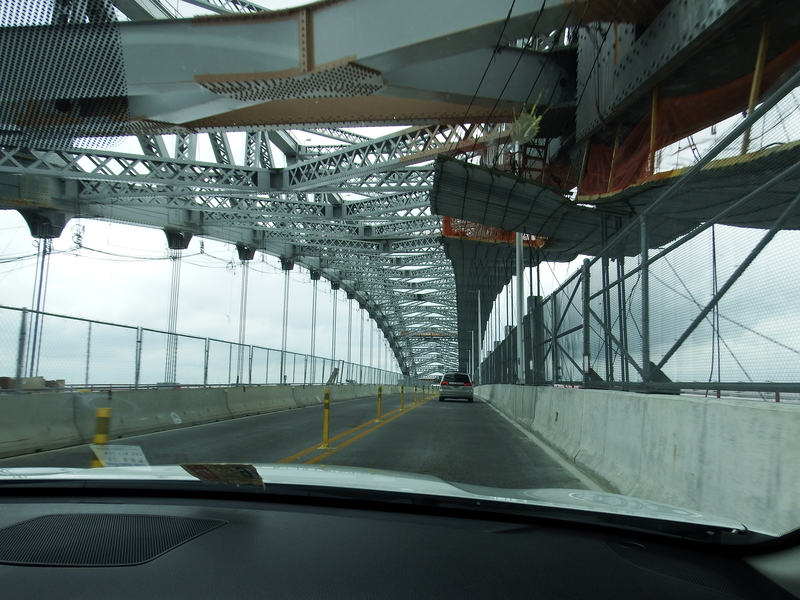 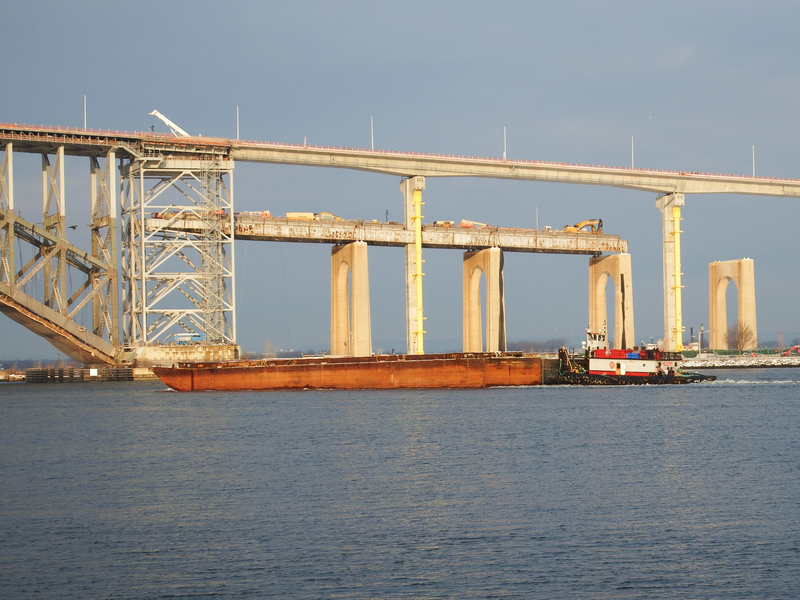 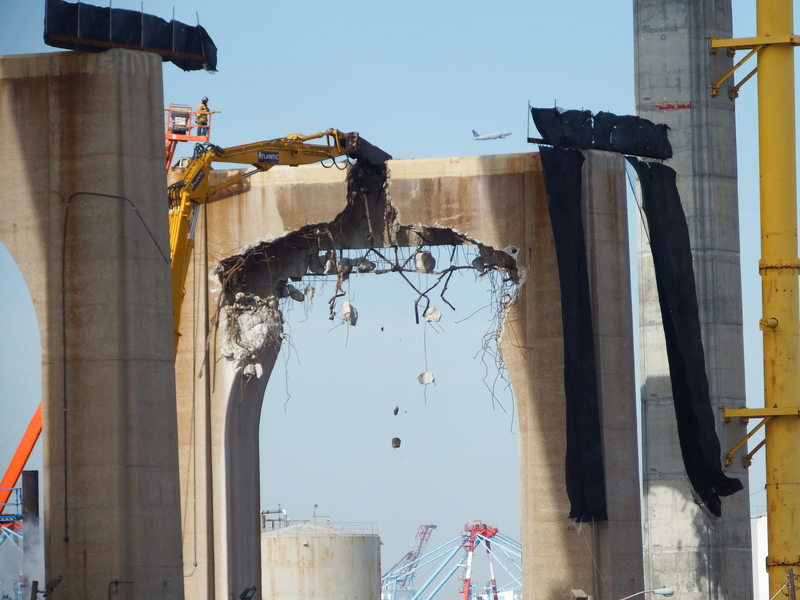 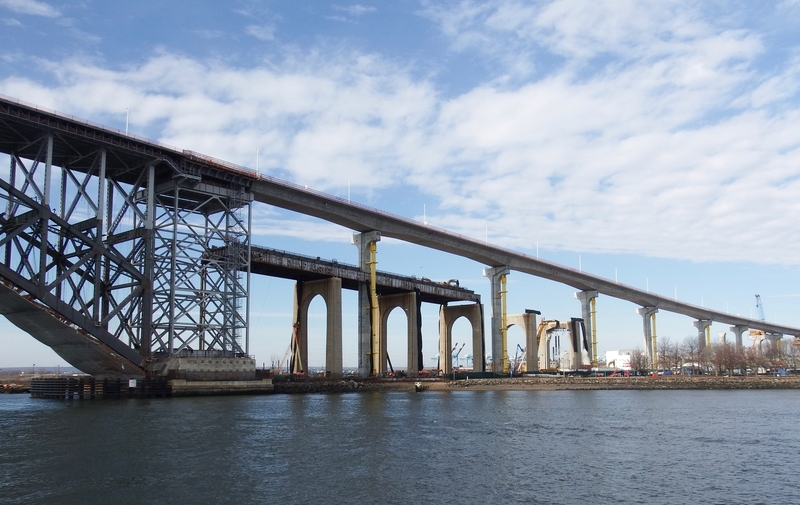 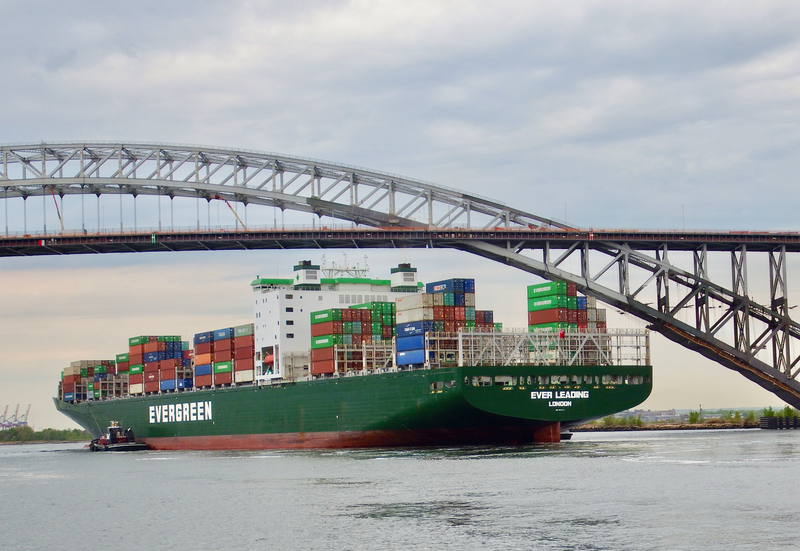 She has 8452-teu capacity and has dimensions of 1099′ x 151′. 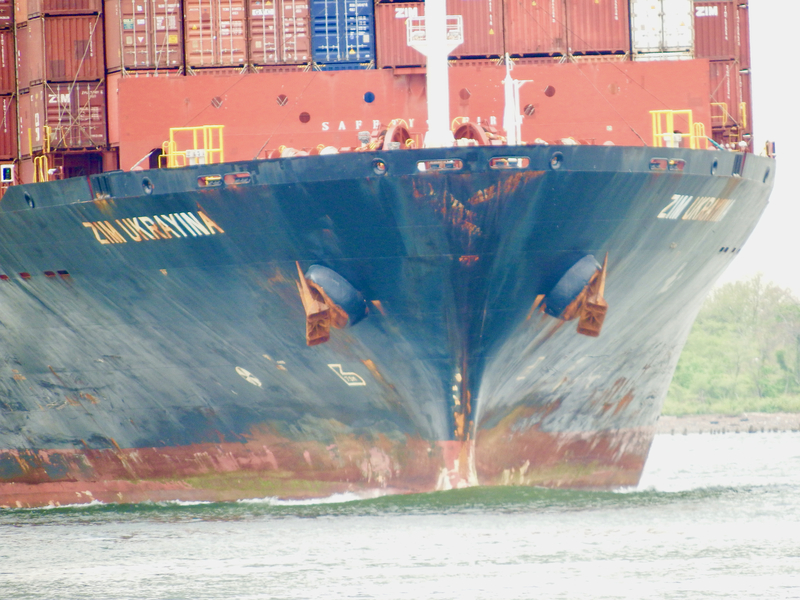 Zim Ukrayina was launched in 2009 in the Philippines. 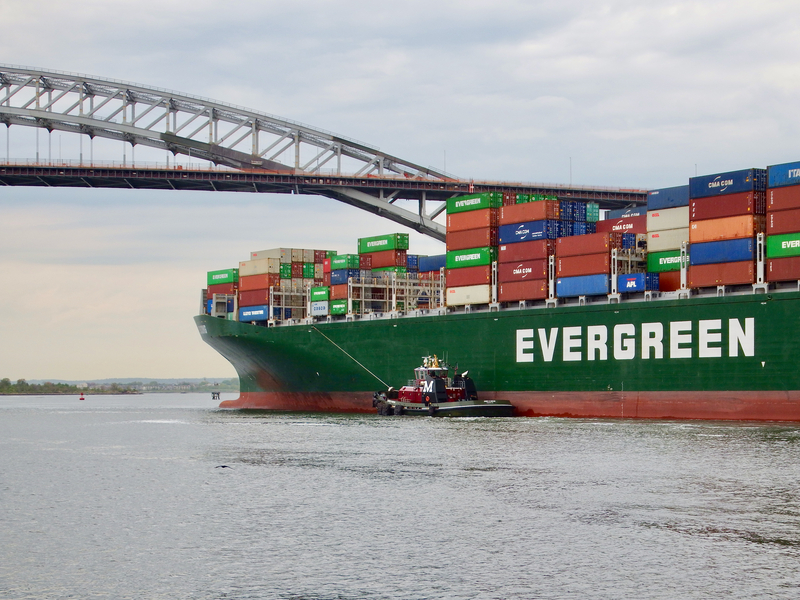 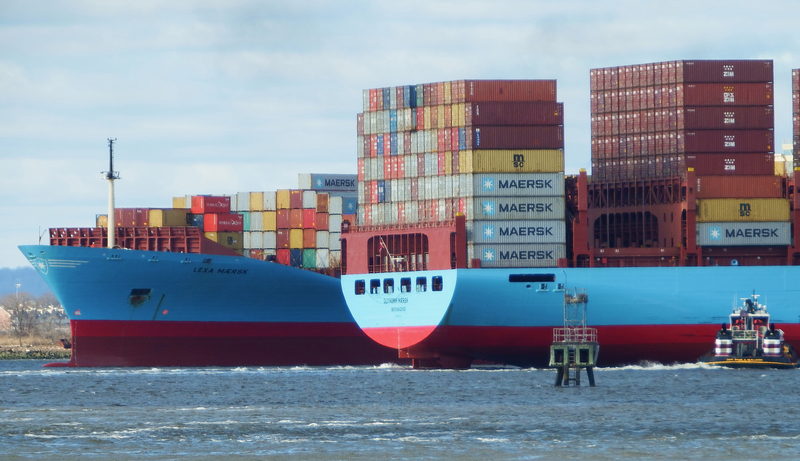 Her dimensions are 849′ x 105′ and her teu capacity is 4360. 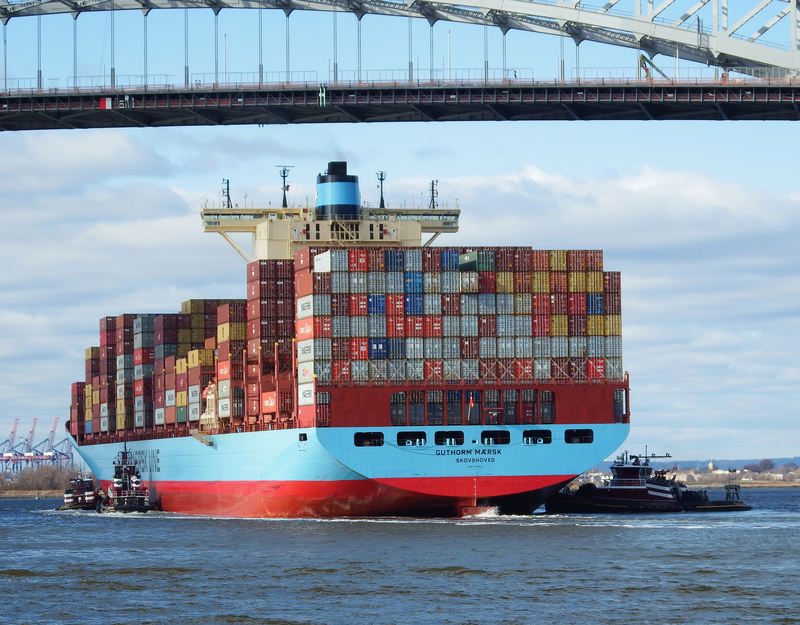 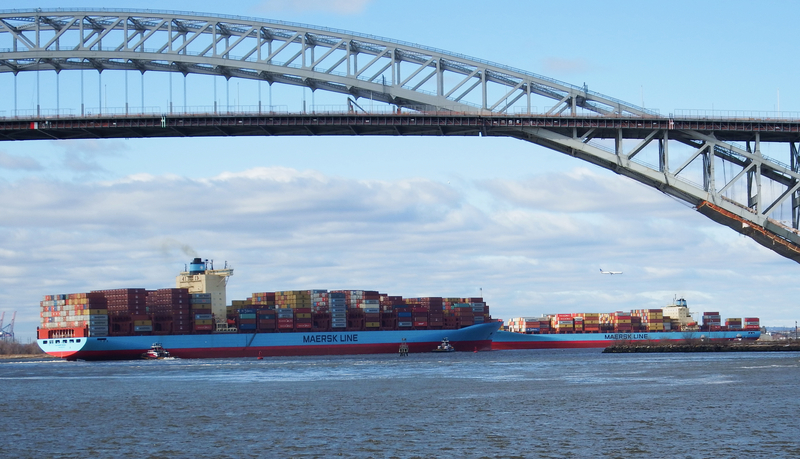 She made the voyage from just north of Hong Kong (Da Chang Bay) to NYC in 40 days.